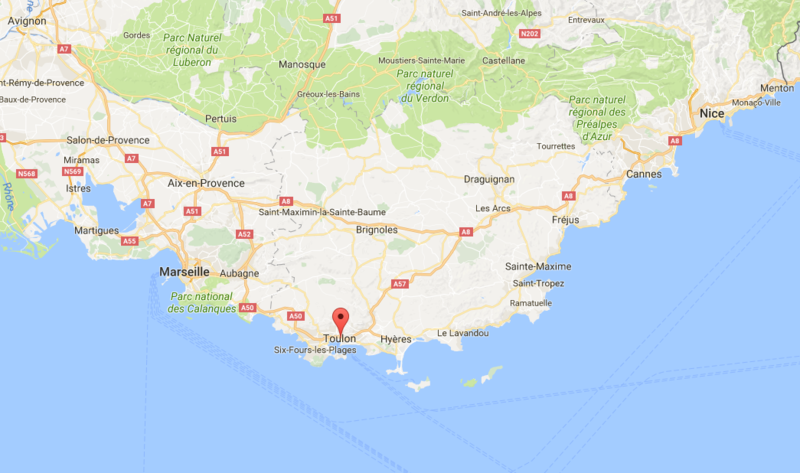 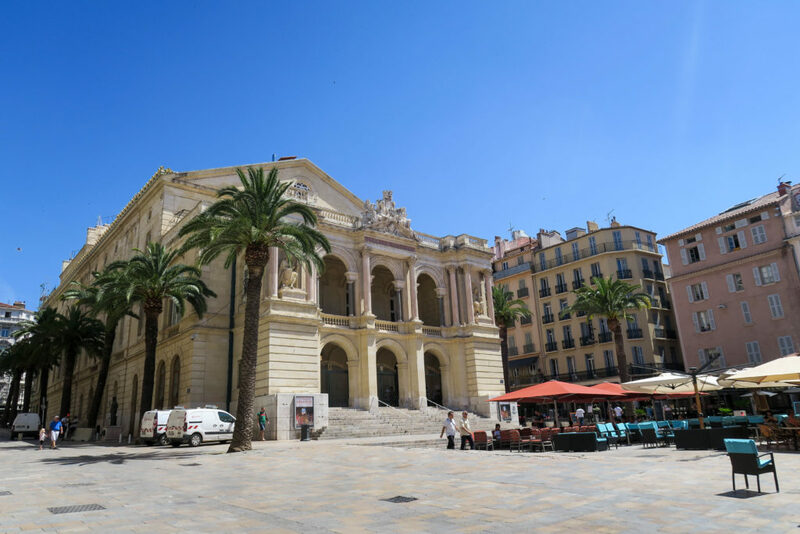 Toulon is located on the south coast of France between St Tropez and Marseille. 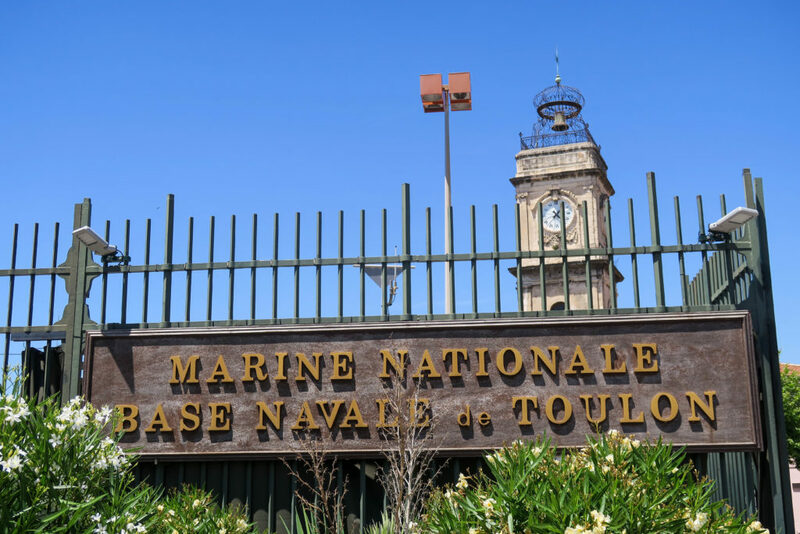 It is the capital of the Var department and is a major French naval base. 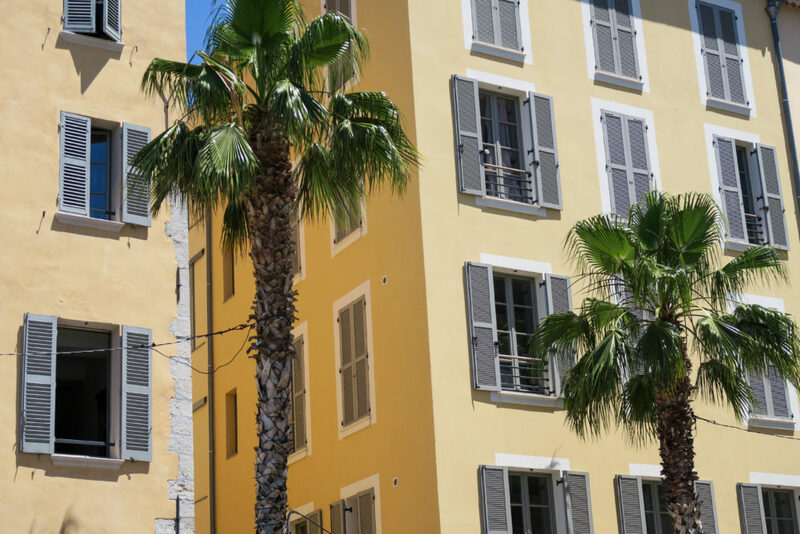 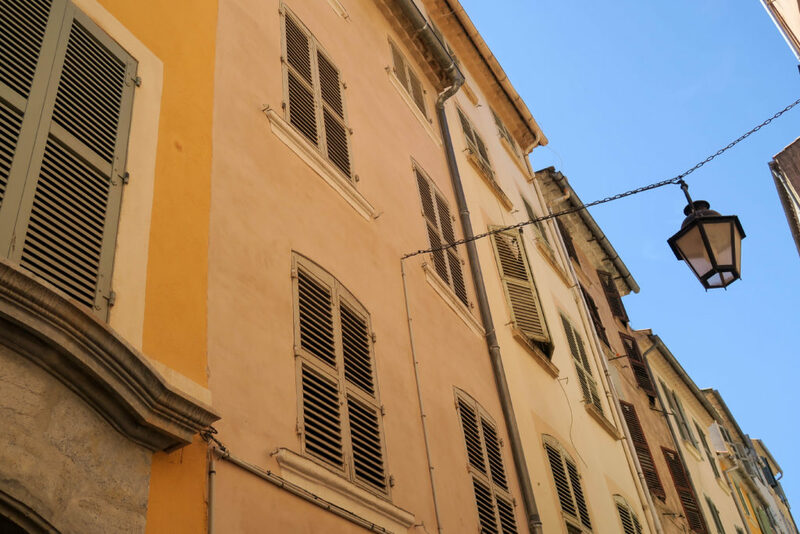 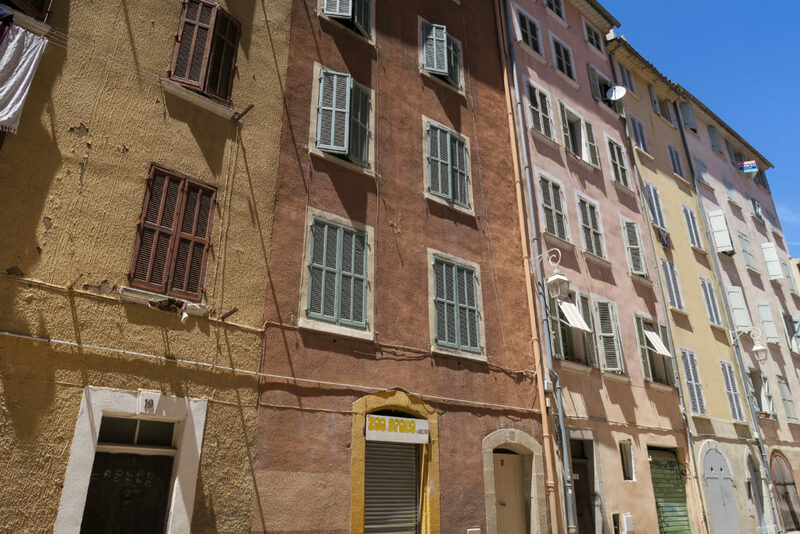 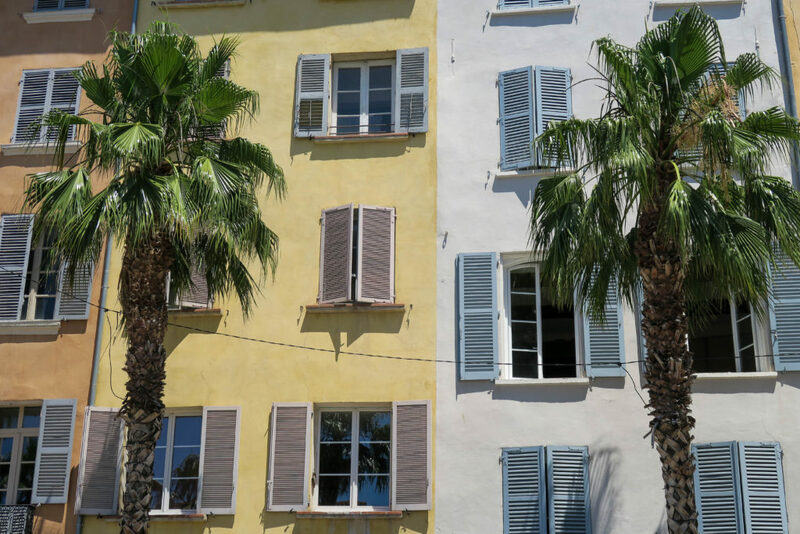 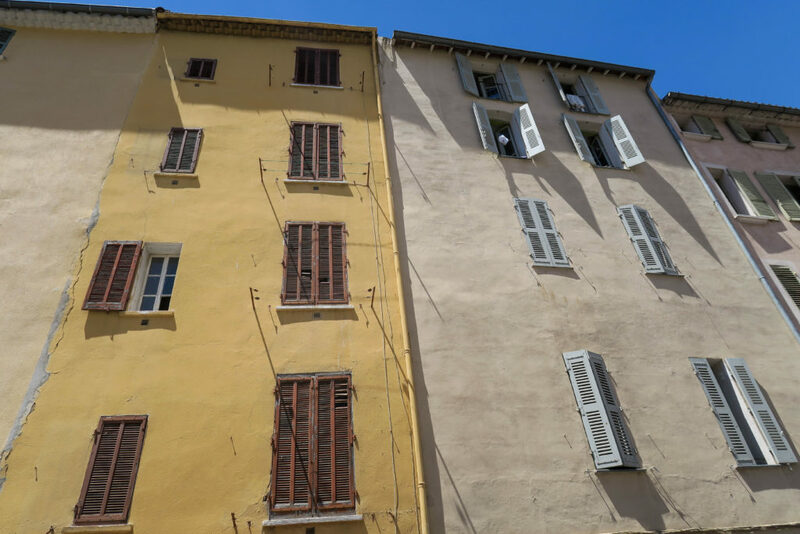 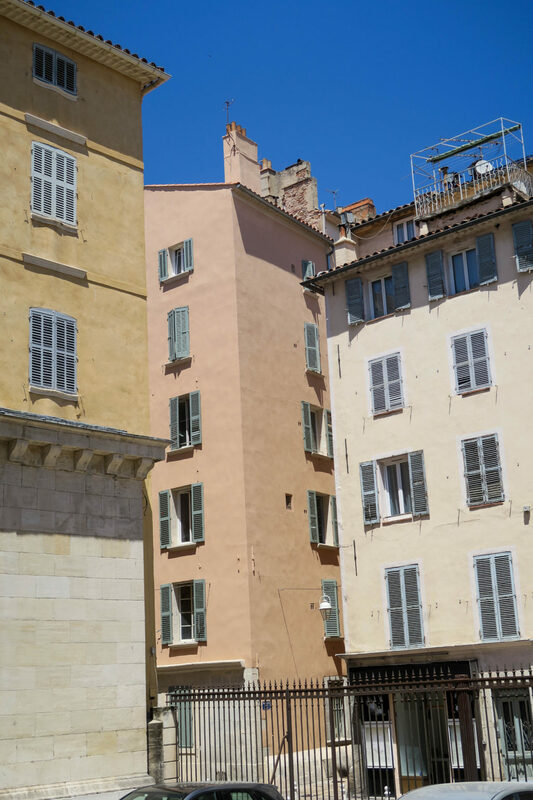 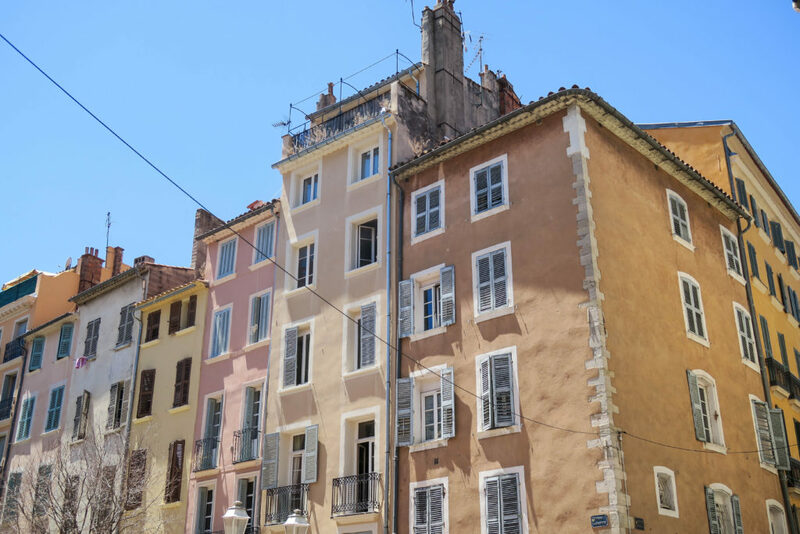 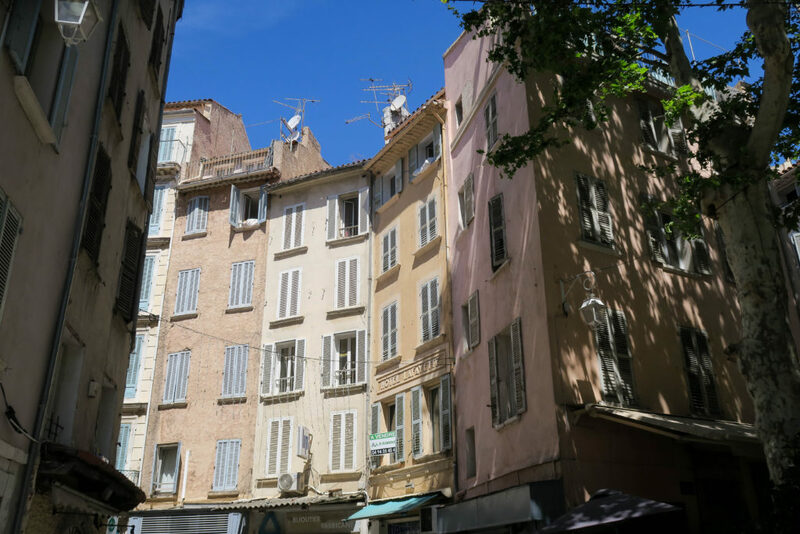 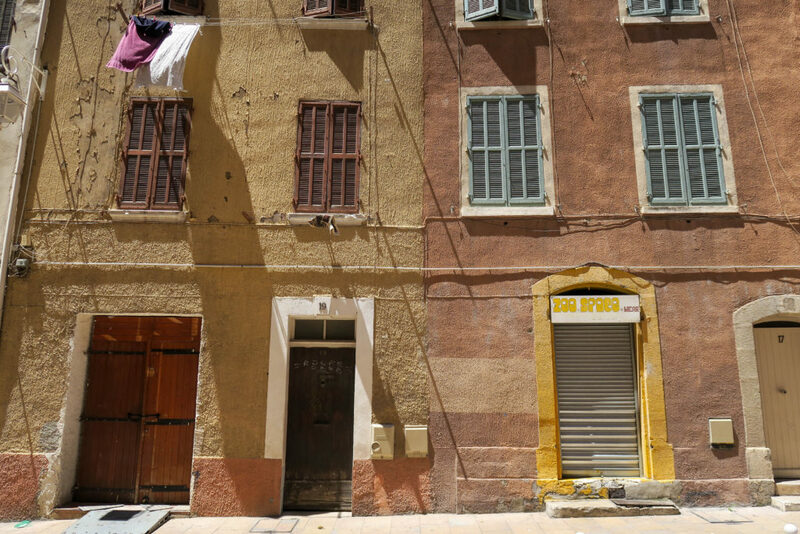 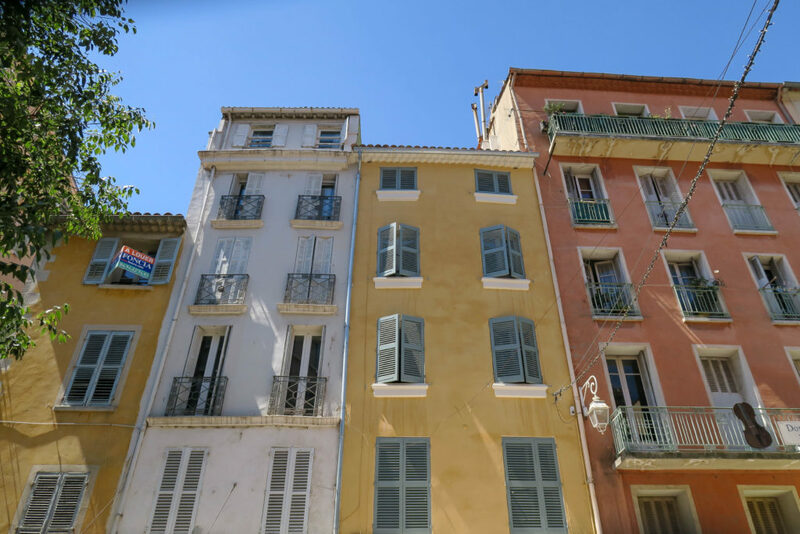 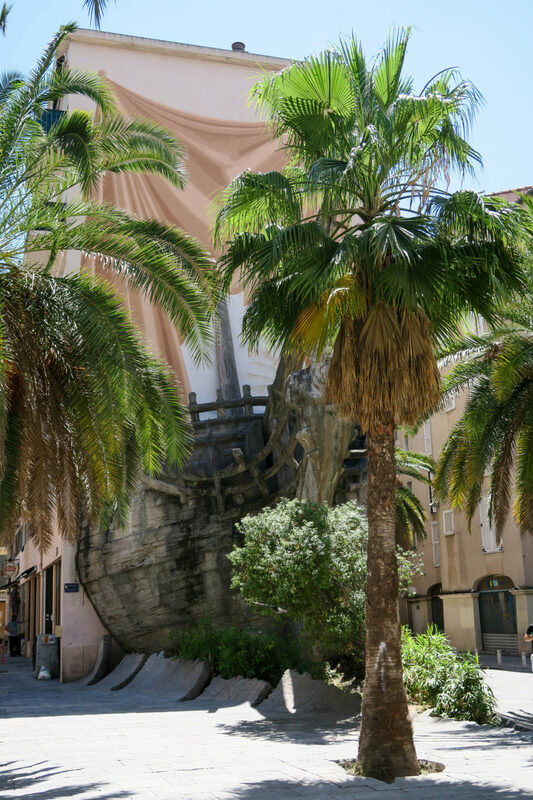 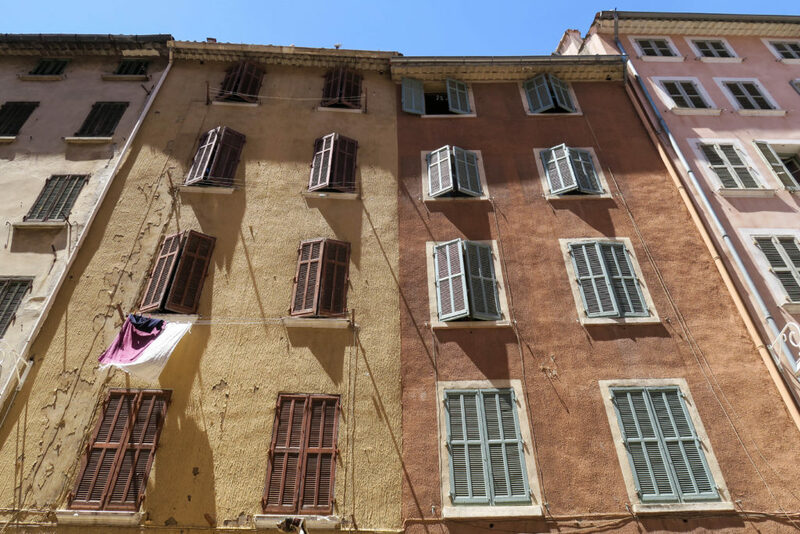 Toulon town is a beautiful place with old buildings painted in lovely pastel shades. 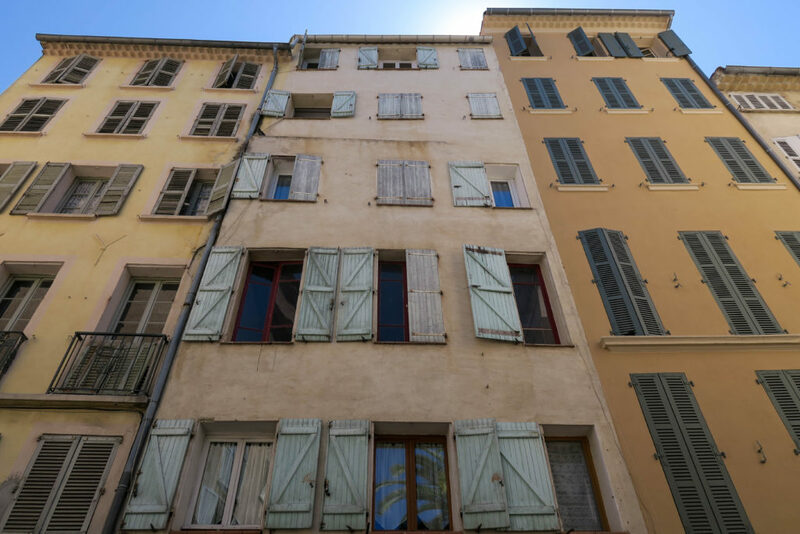 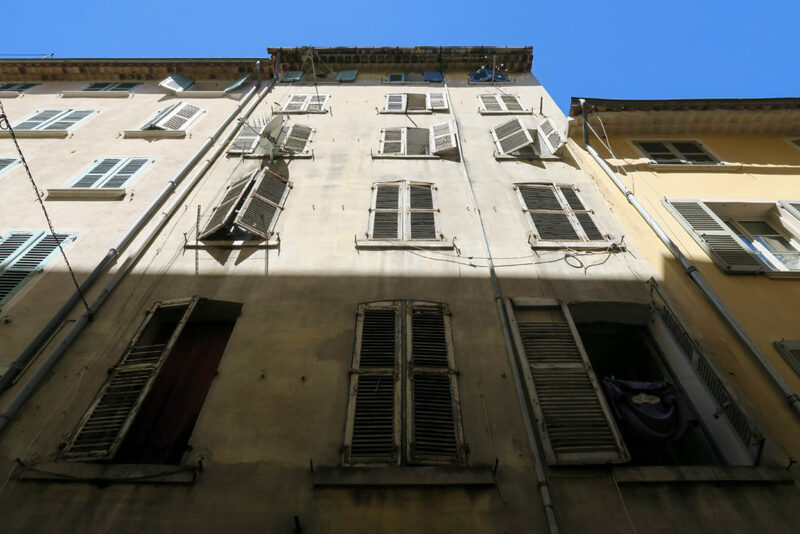 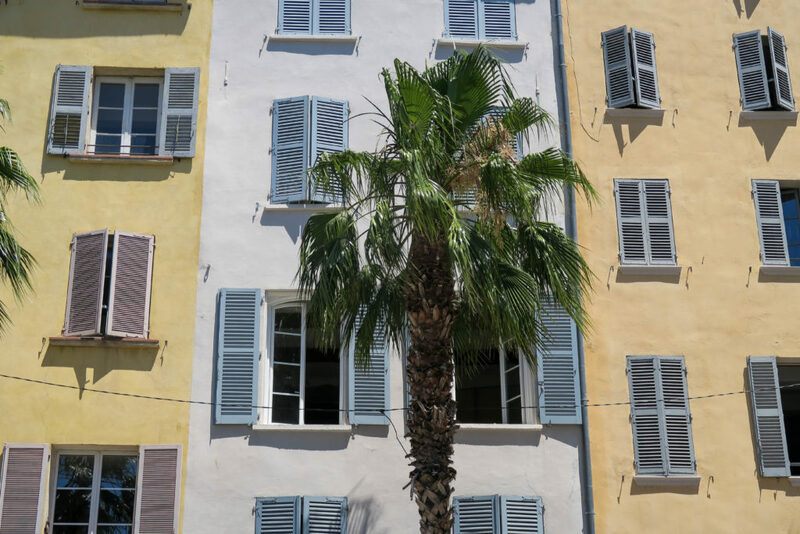 The buildings are adorned with gorgeous rustic shutters and beautiful balconies. 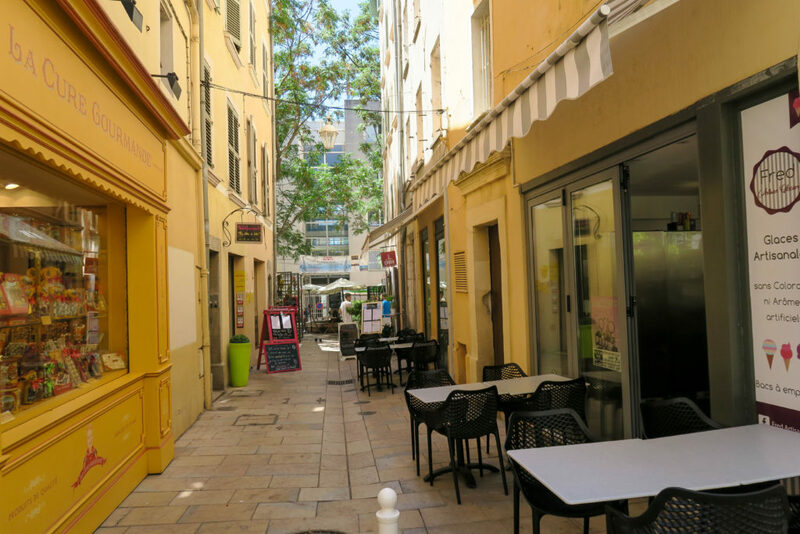 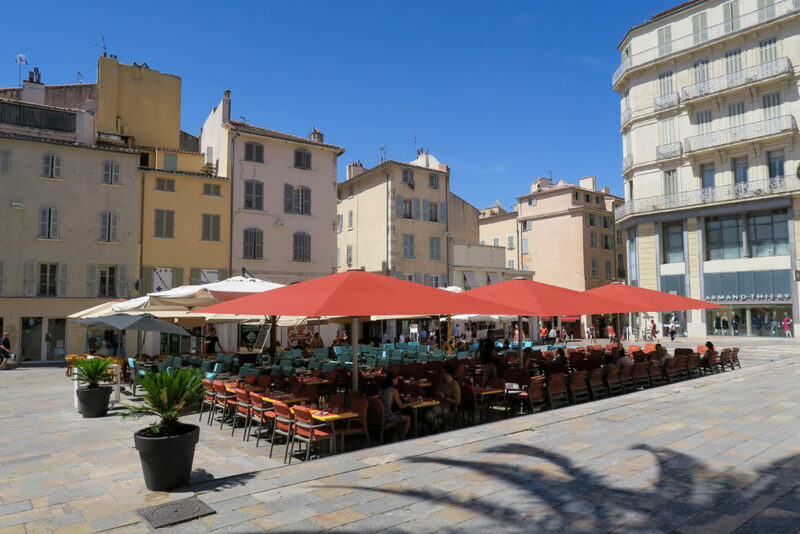 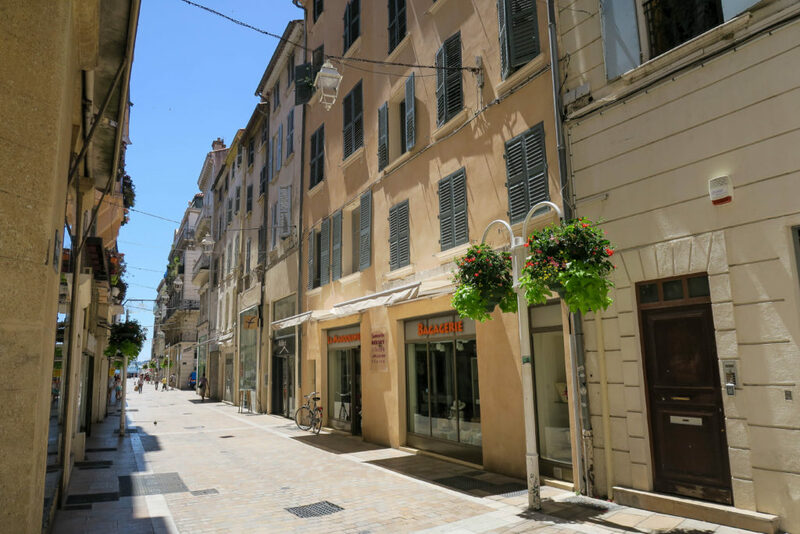 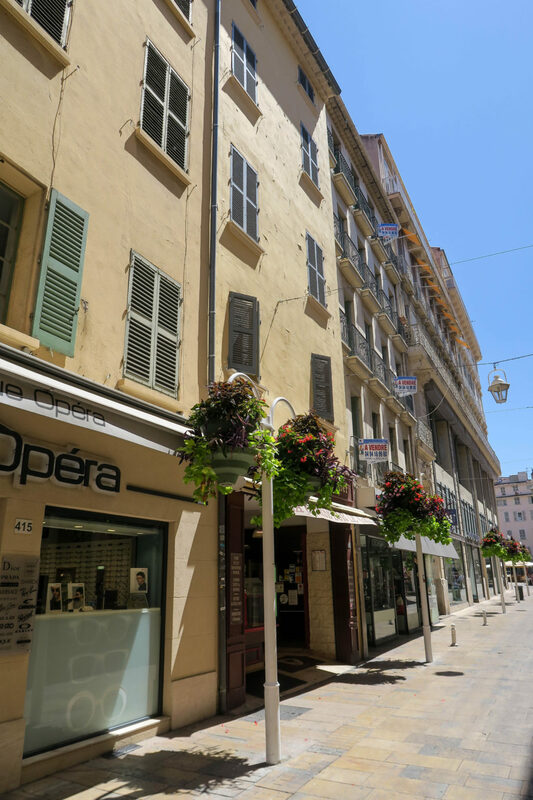 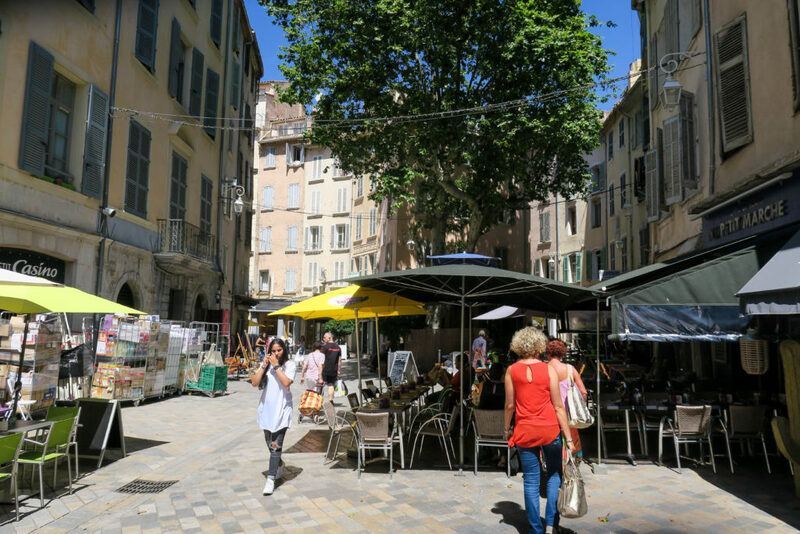 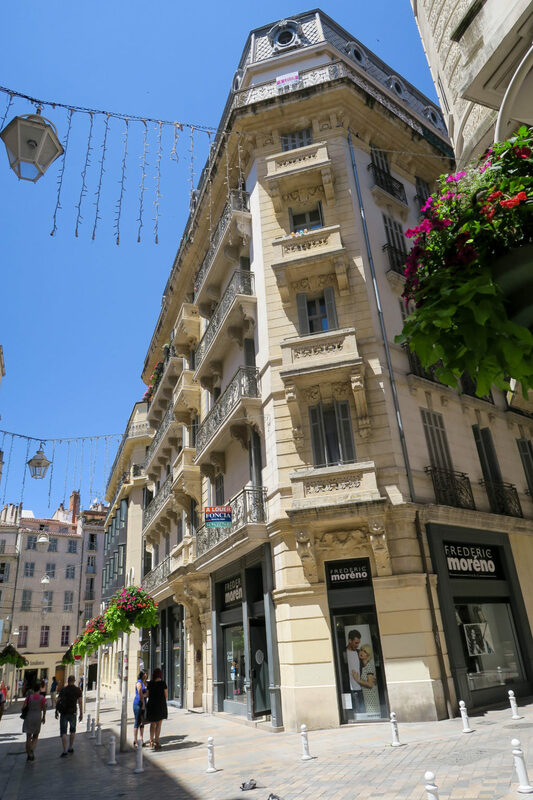 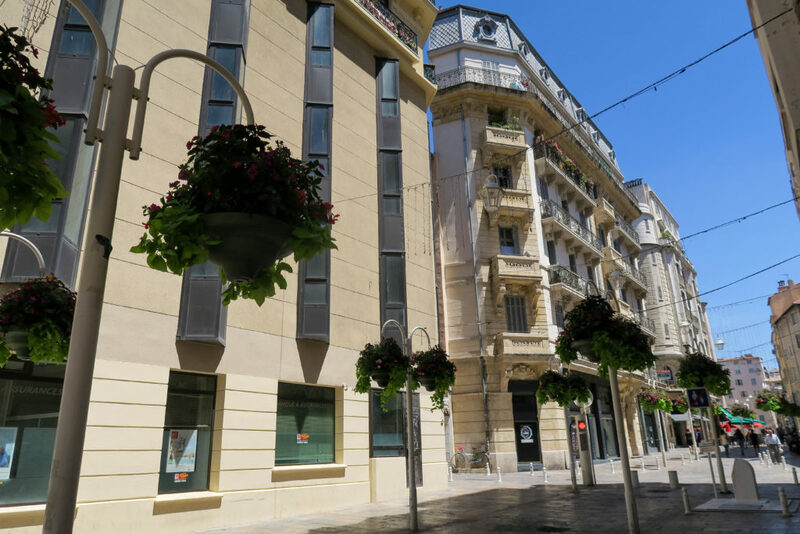 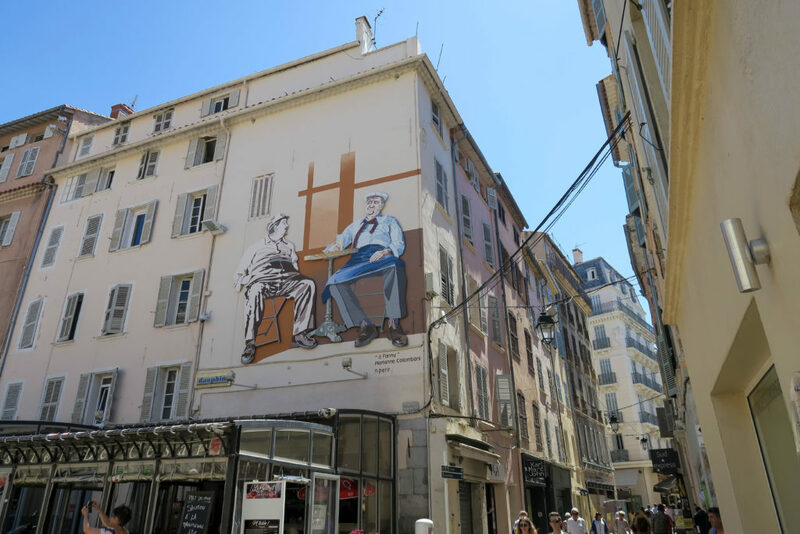 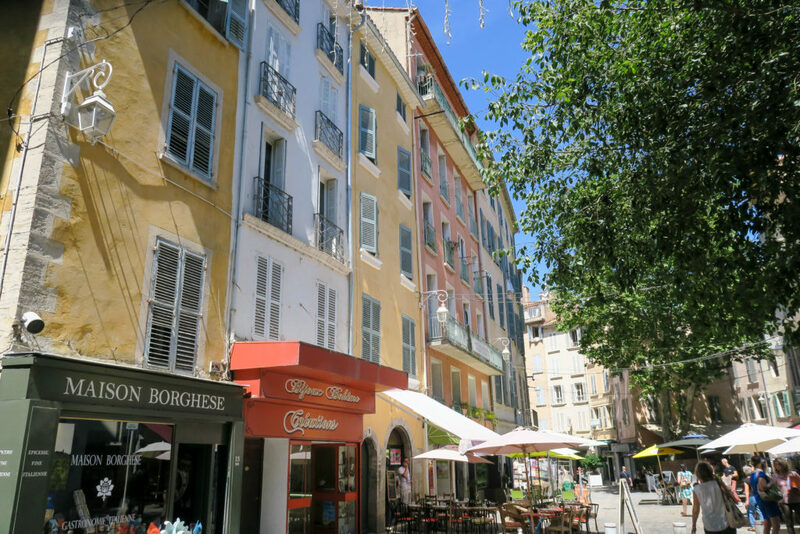 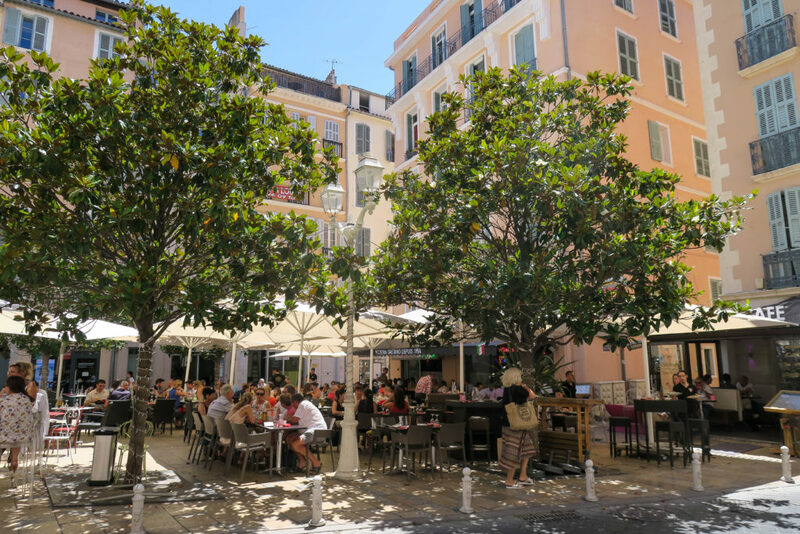 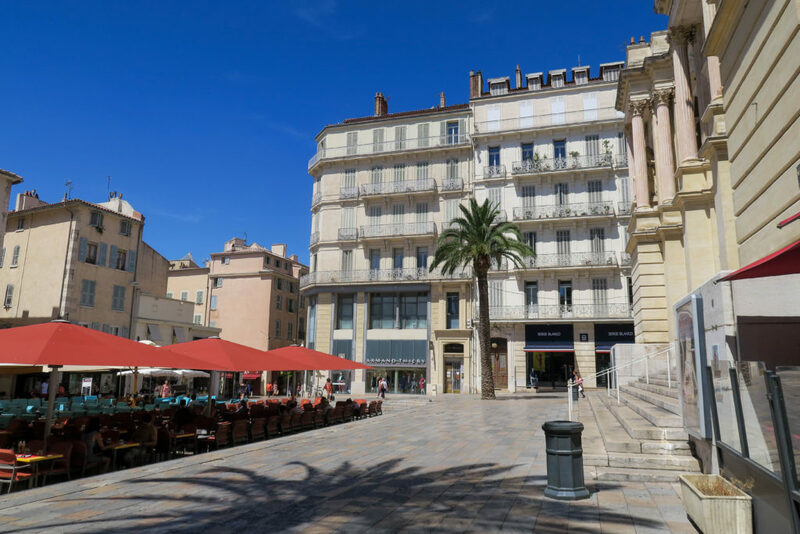 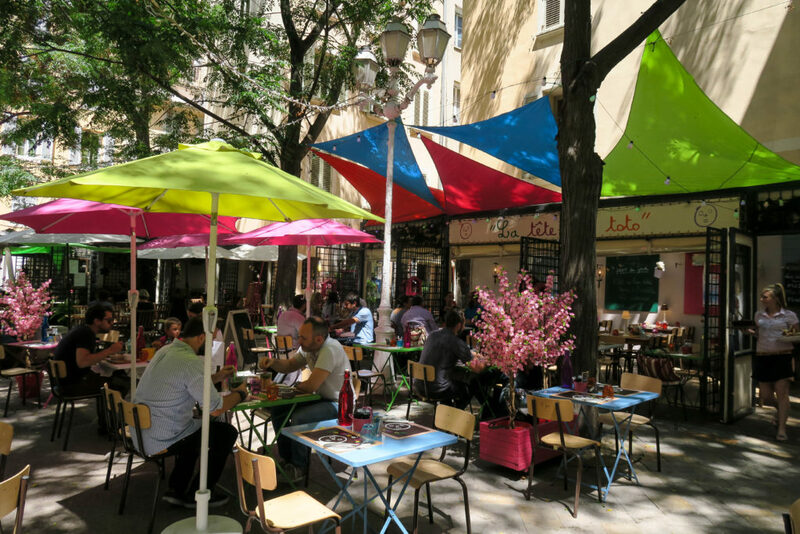 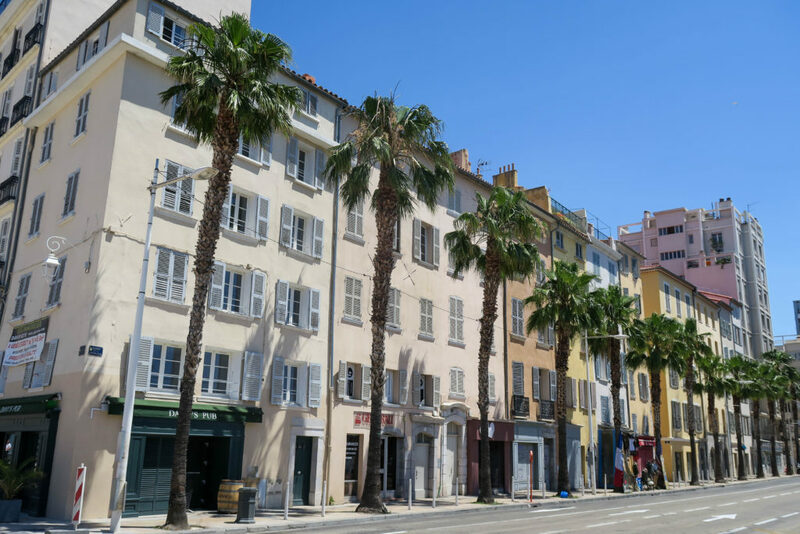 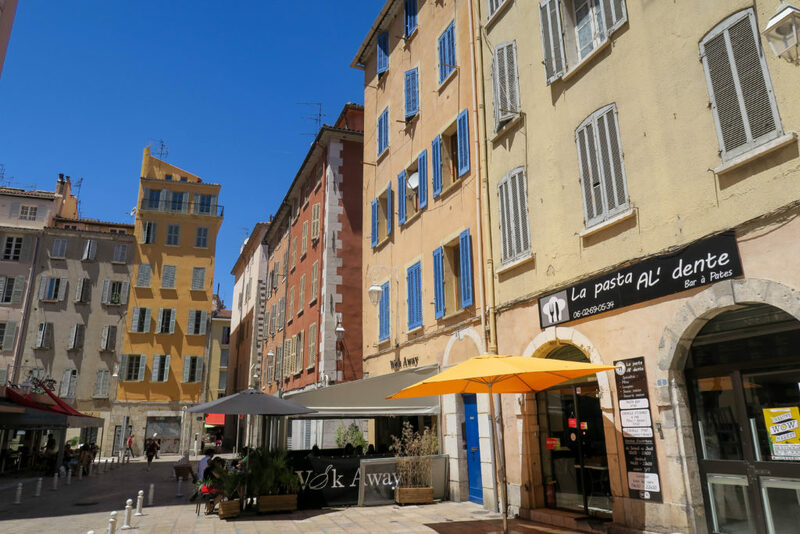 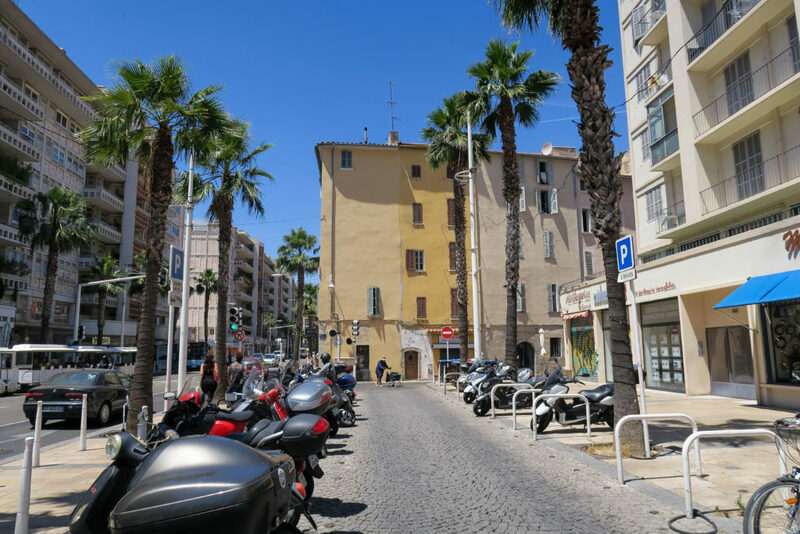 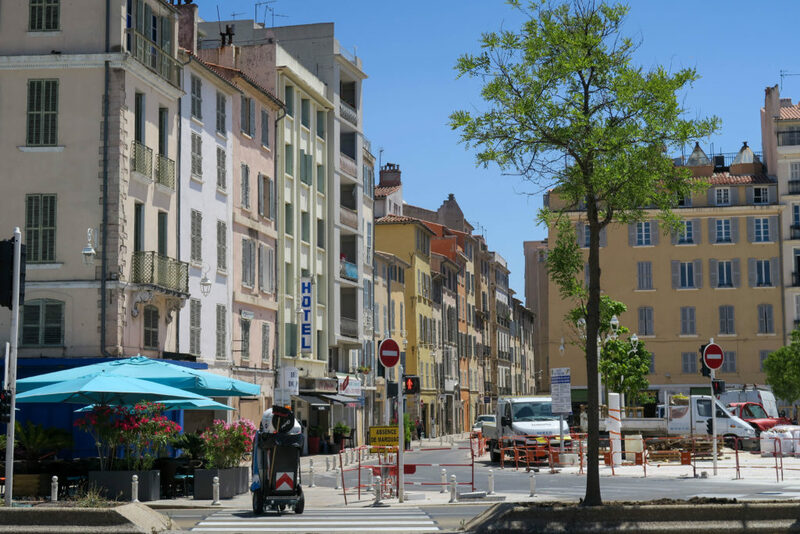 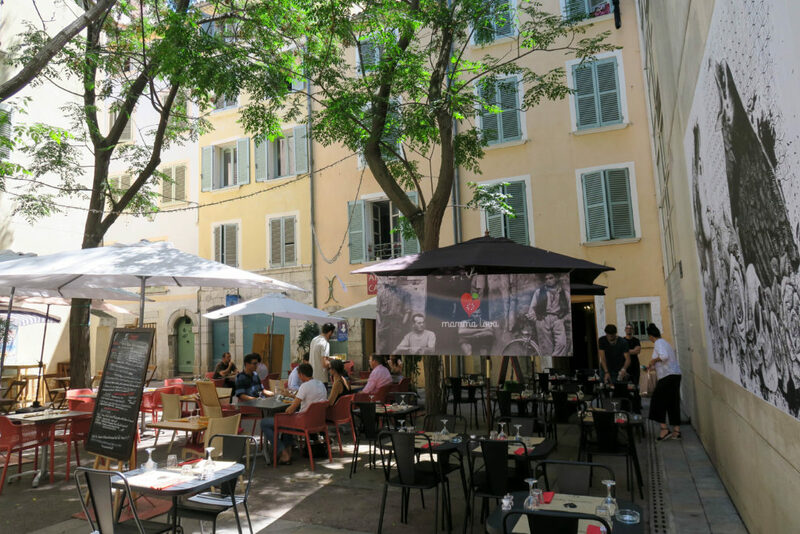 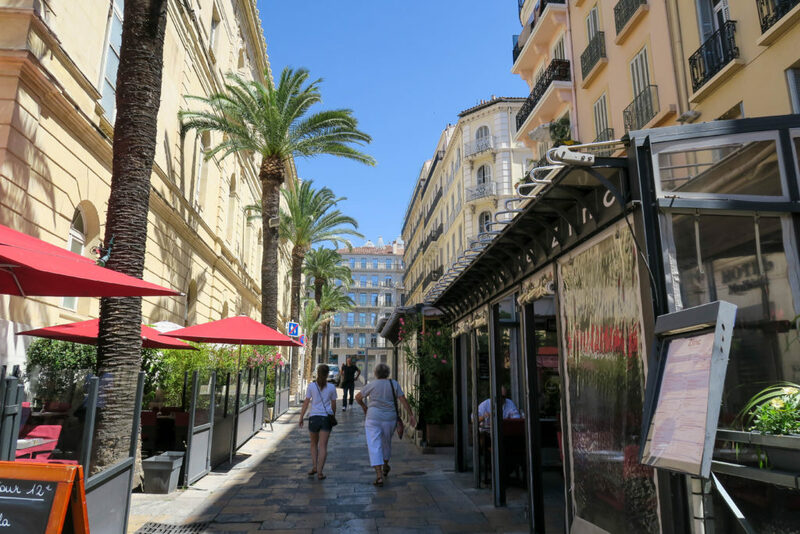 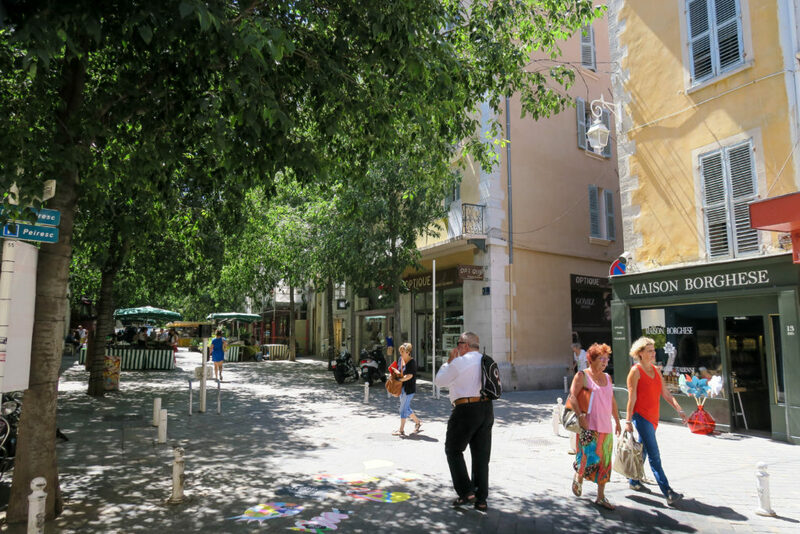 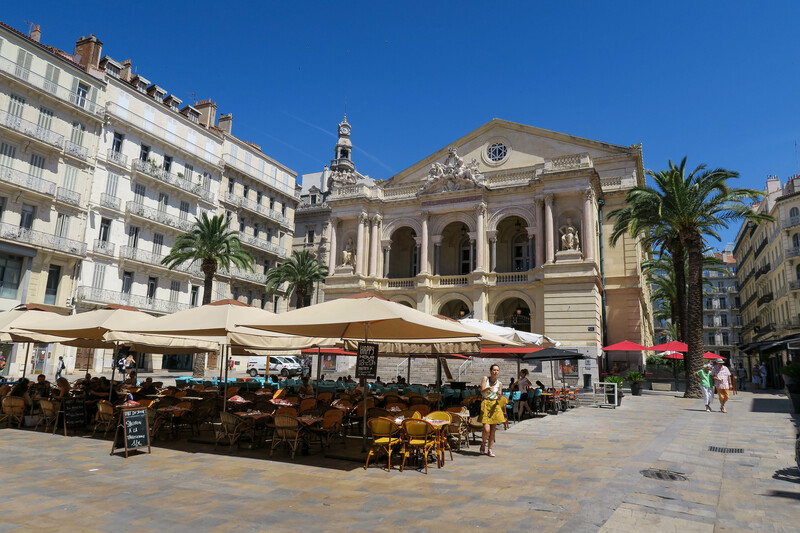 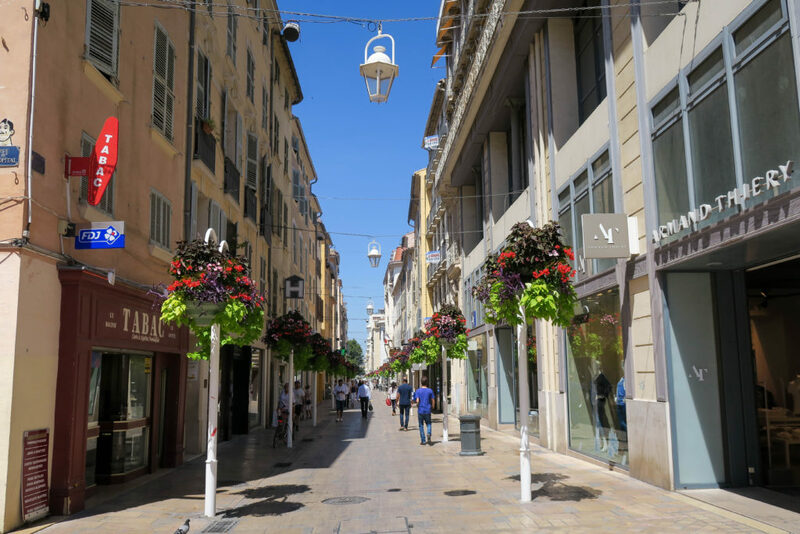 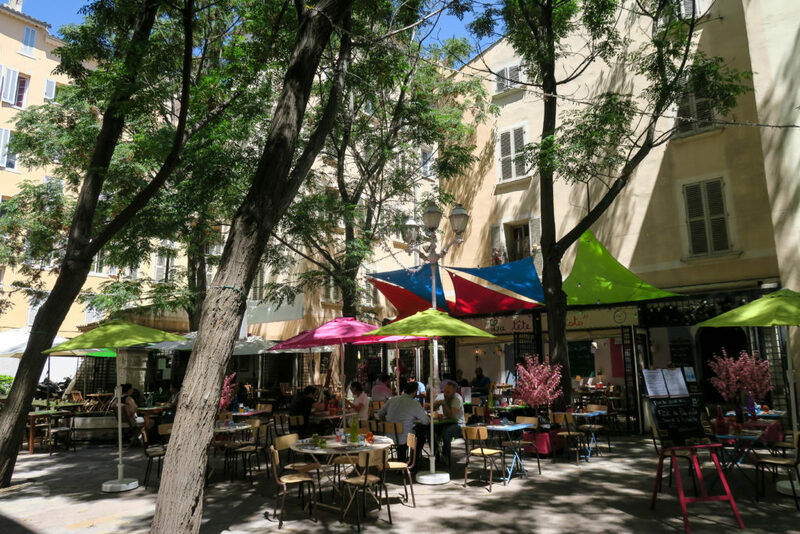 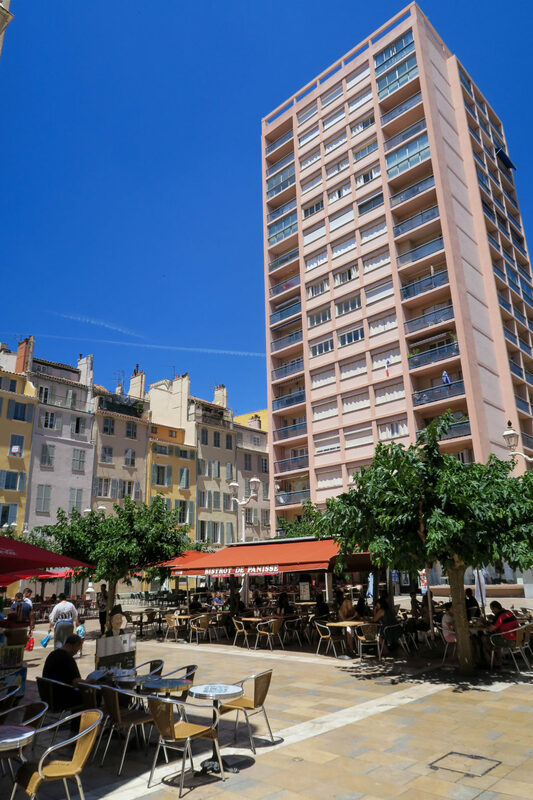 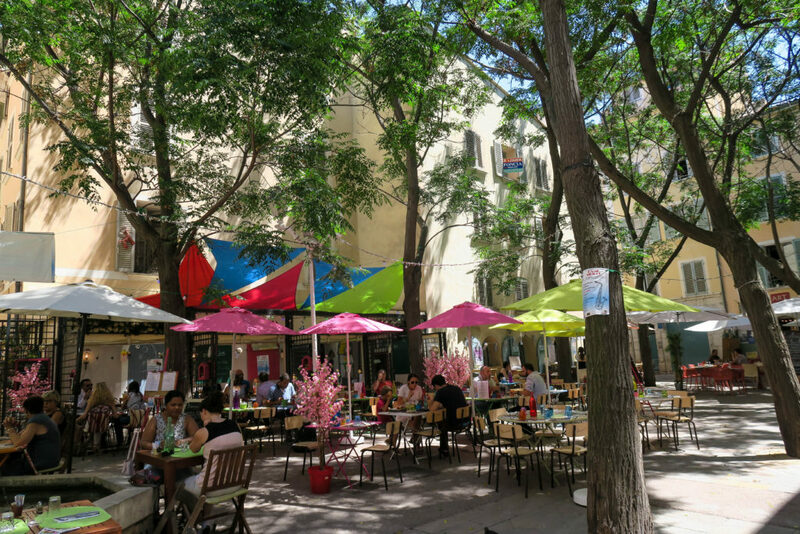 Toulon has lots of shops, restaurants & cafes to offer. 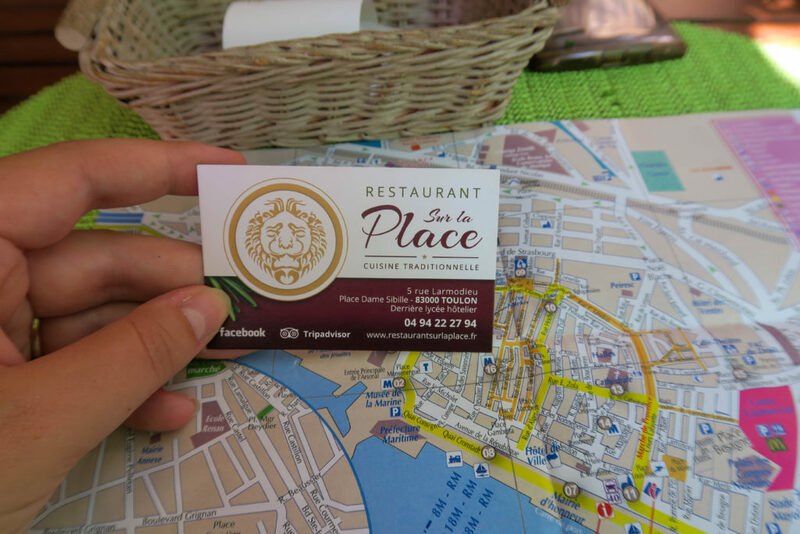 When I was there, I ate lunch at Sur La Place Restaurant. 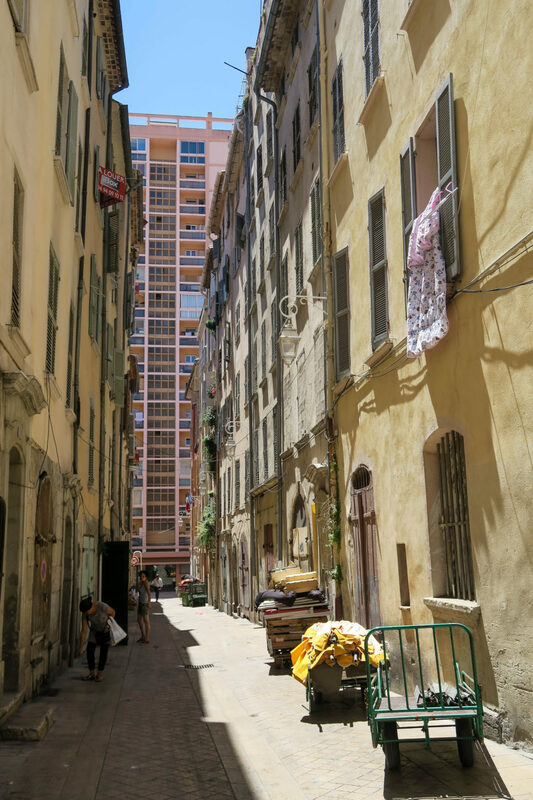 I enjoyed a delicious melon, ham, tomato & mozzarella salad. 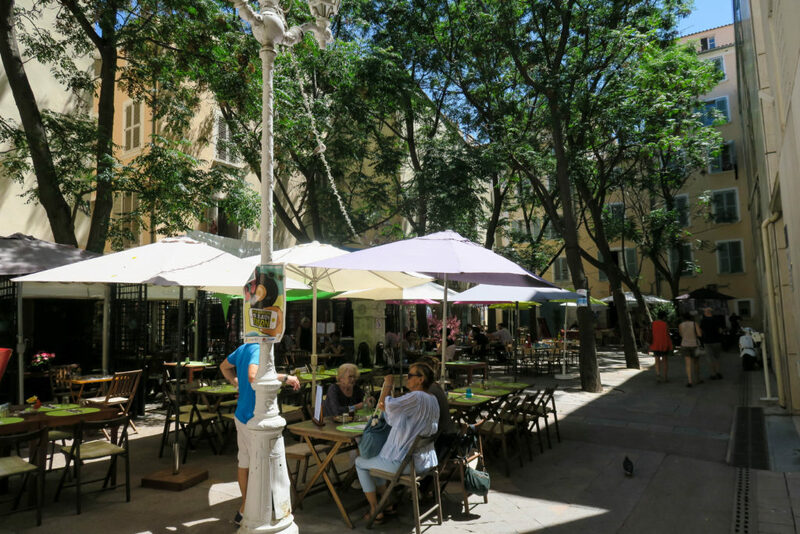 The restaurant is situated on a lovely square with several restaurants to choose from. 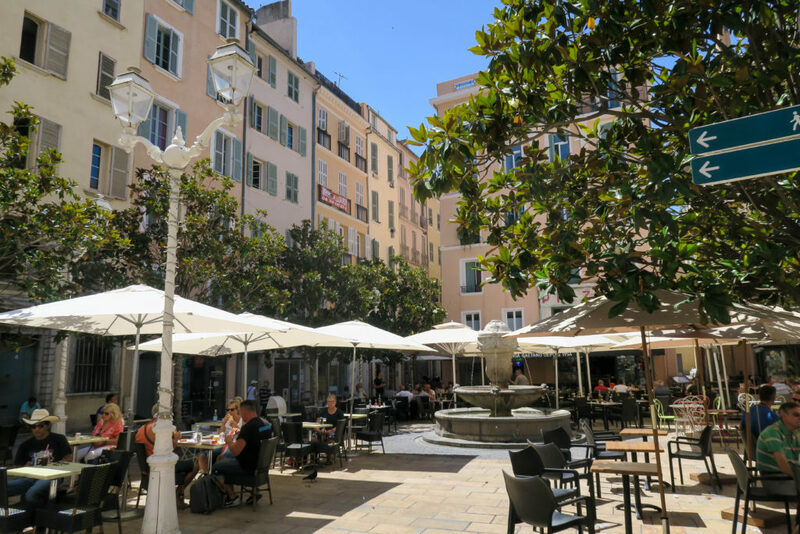 I would recommend getting there just before the business people go for lunch as it soon gets busy. 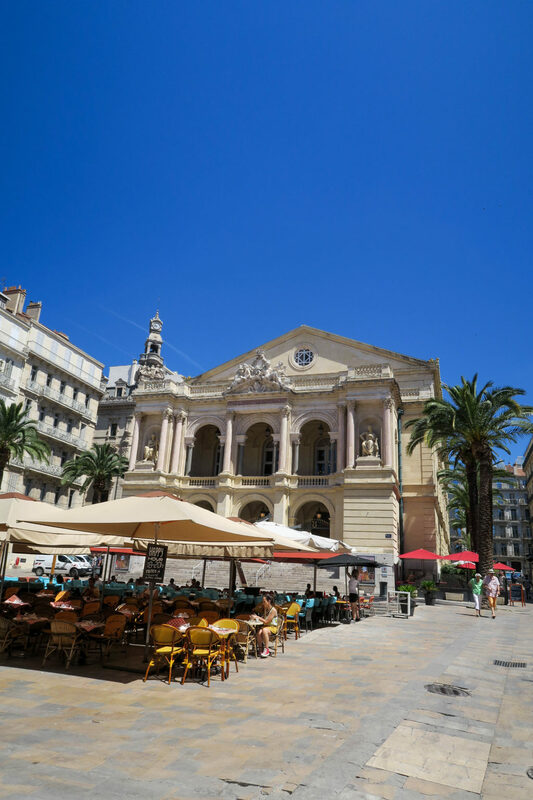 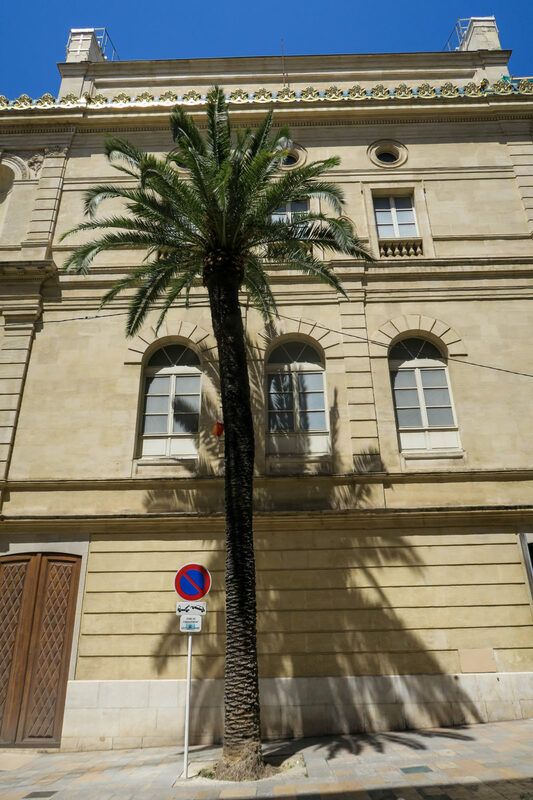 The Toulon Opera House, which was opened in 1862, is my favourite building in Toulon. 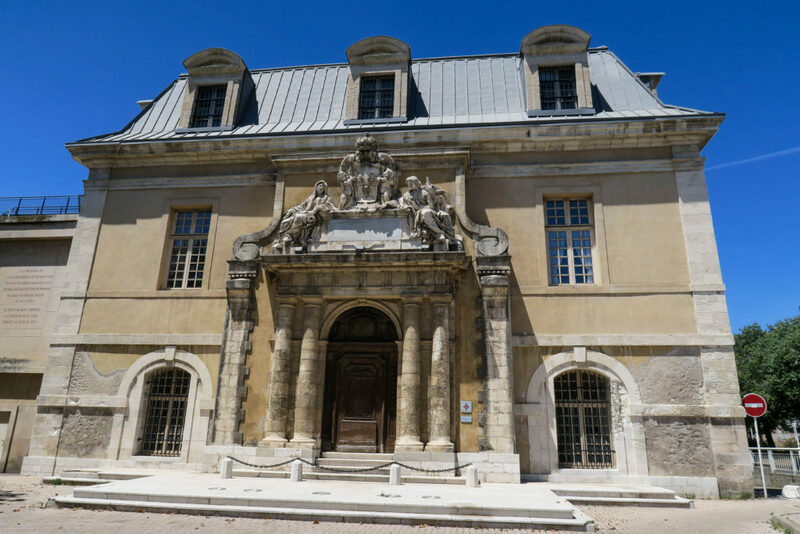 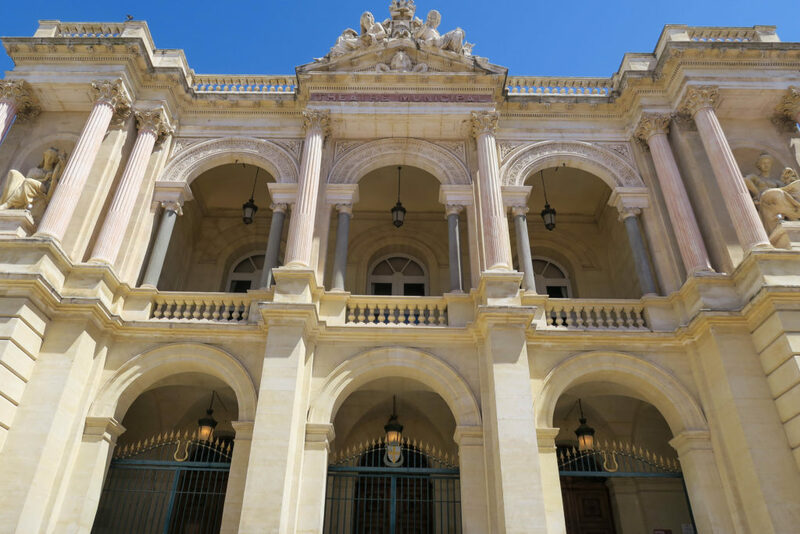 It's similar to, but smaller than, the Palais Garnier Opera House in Paris. 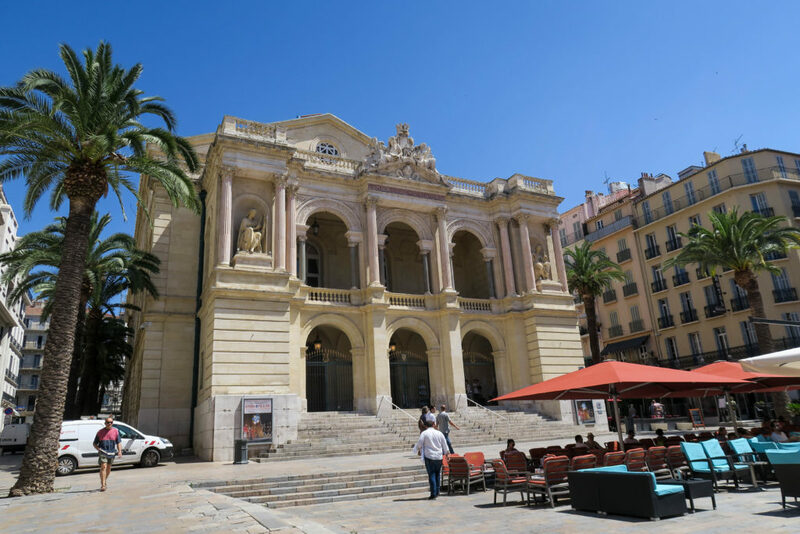 The Toulon Opera House was finished 13 years before the Paris one. 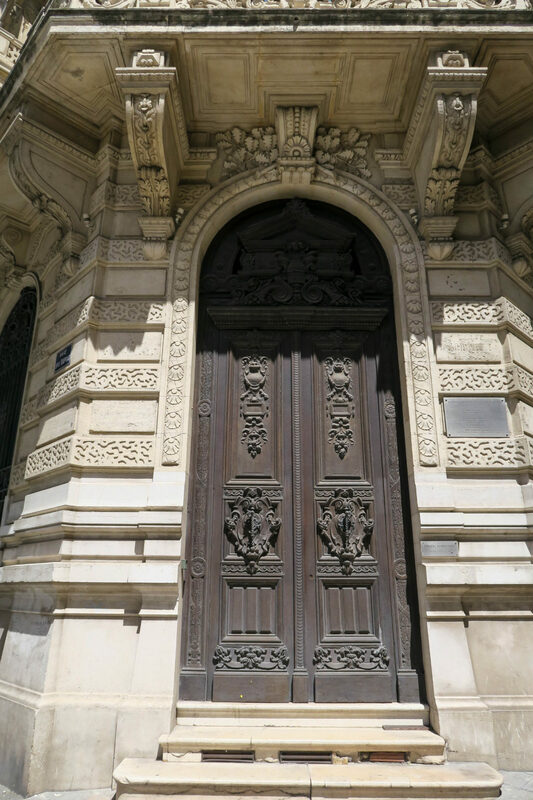 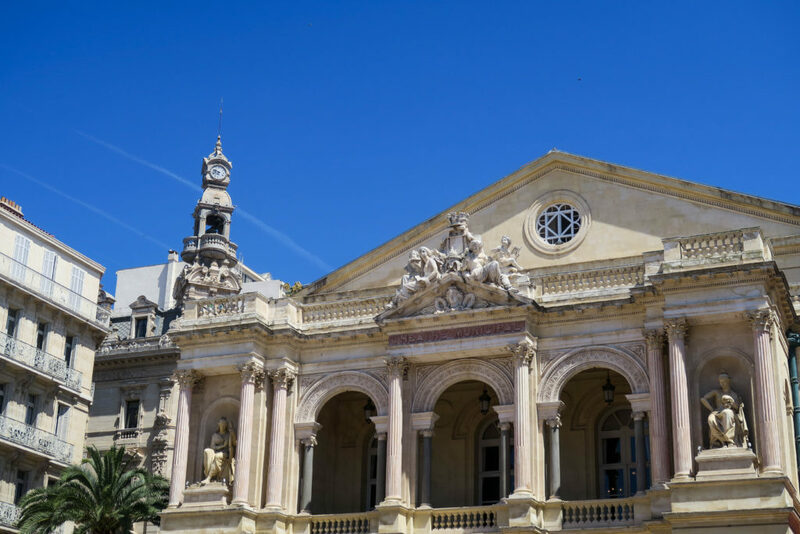 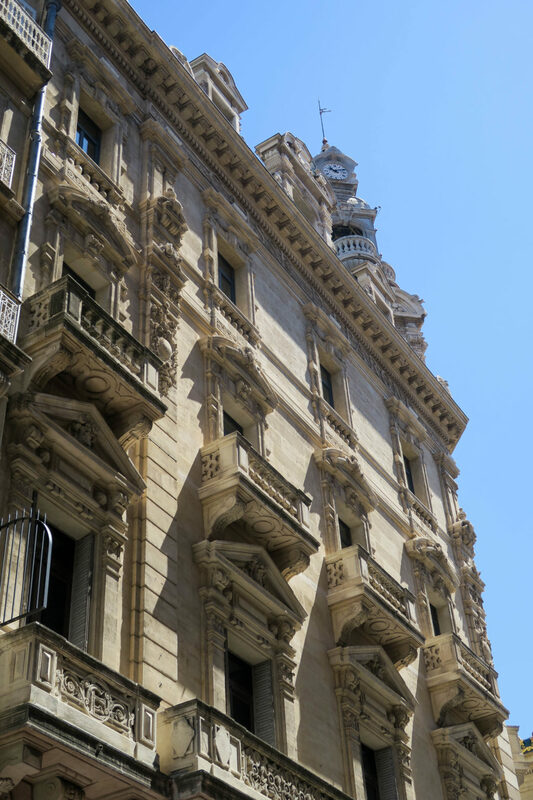 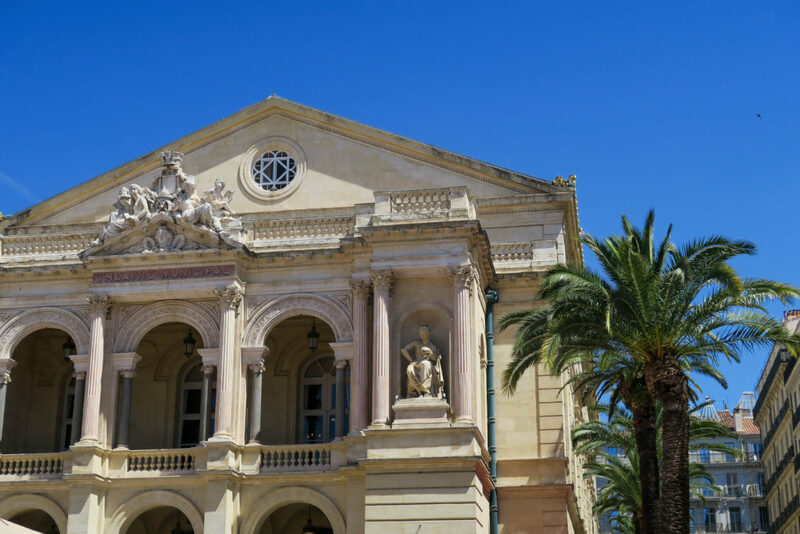 I love the architecture, the grandeur and the decorations of the Toulon Opera House. 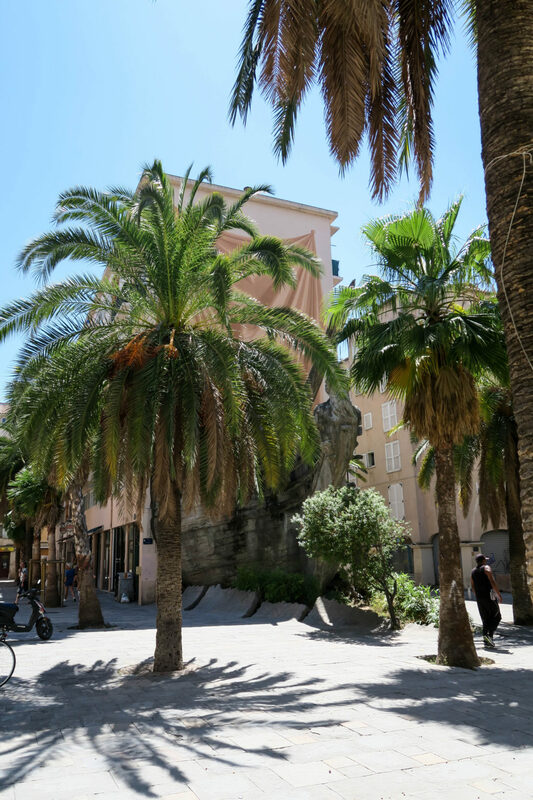 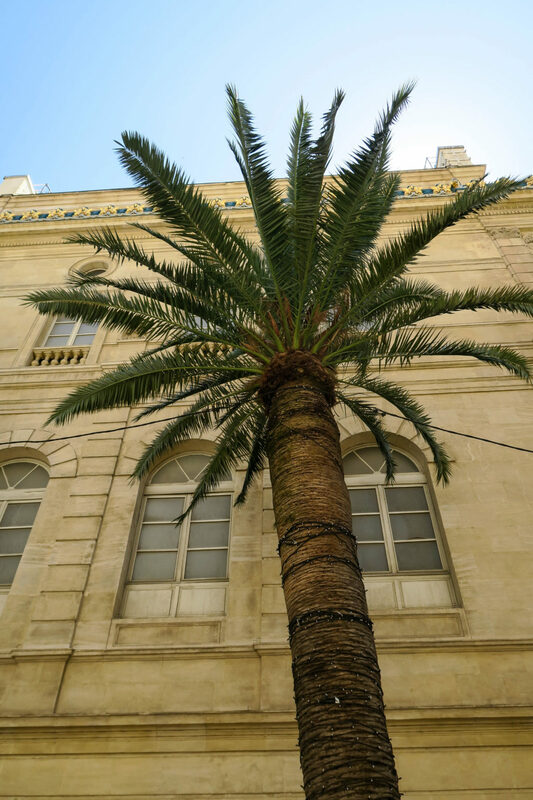 I also love that it was situated in front of a square where restaurants were serving food and palm trees were down each side. 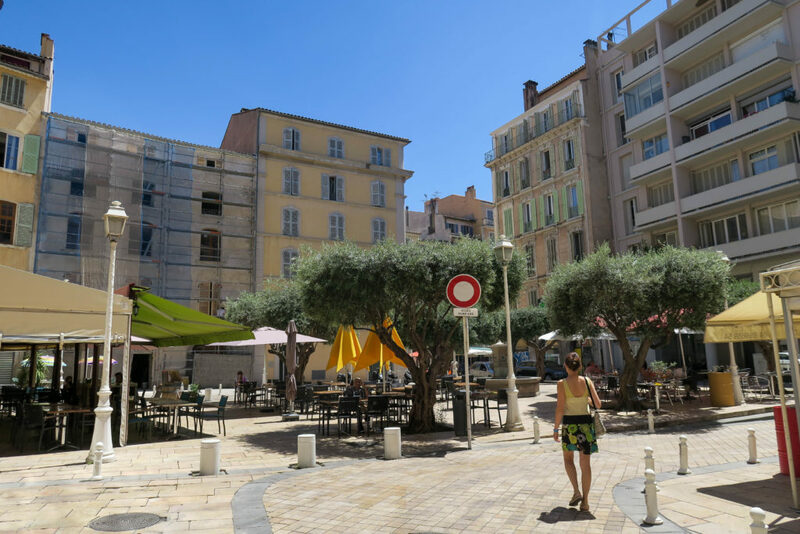 The other place I really liked was the Place de la Liberté. 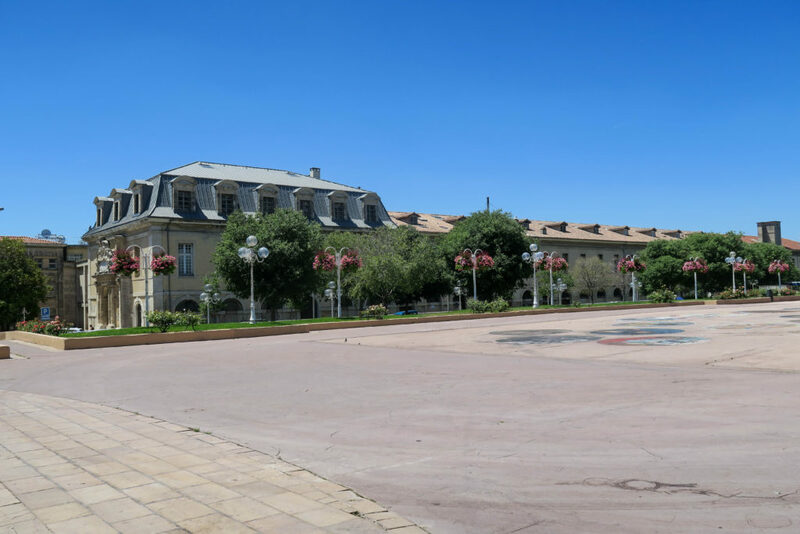 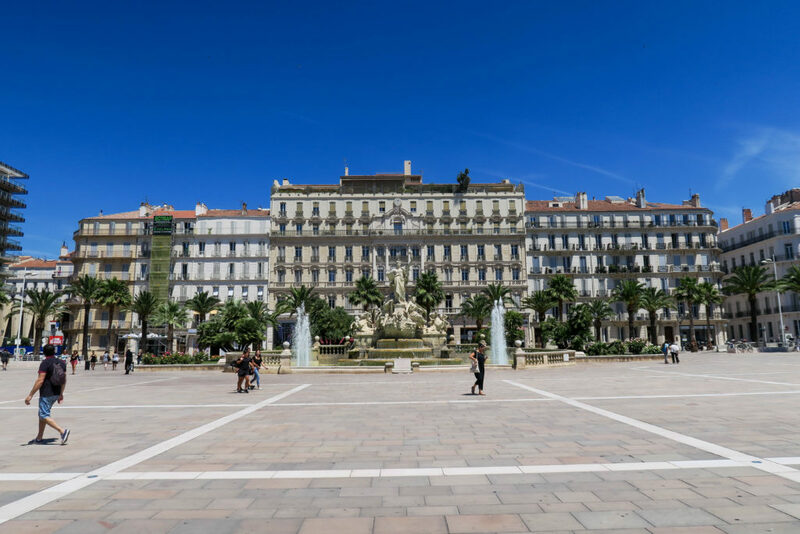 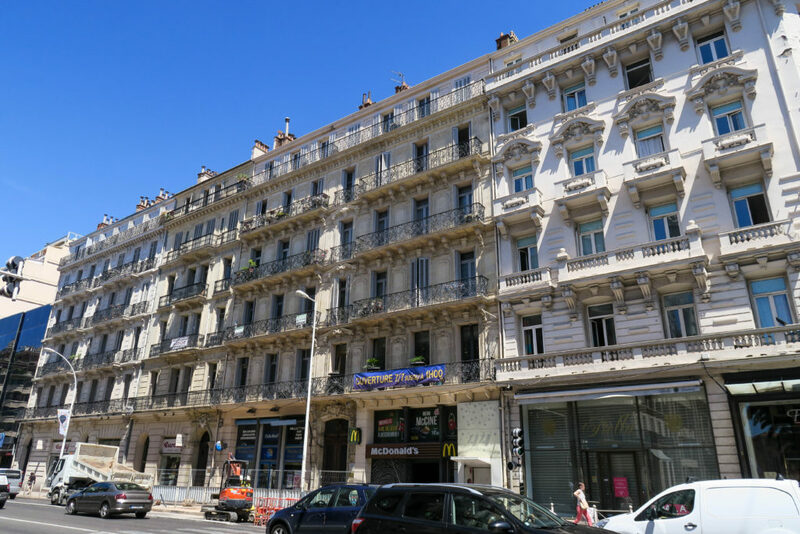 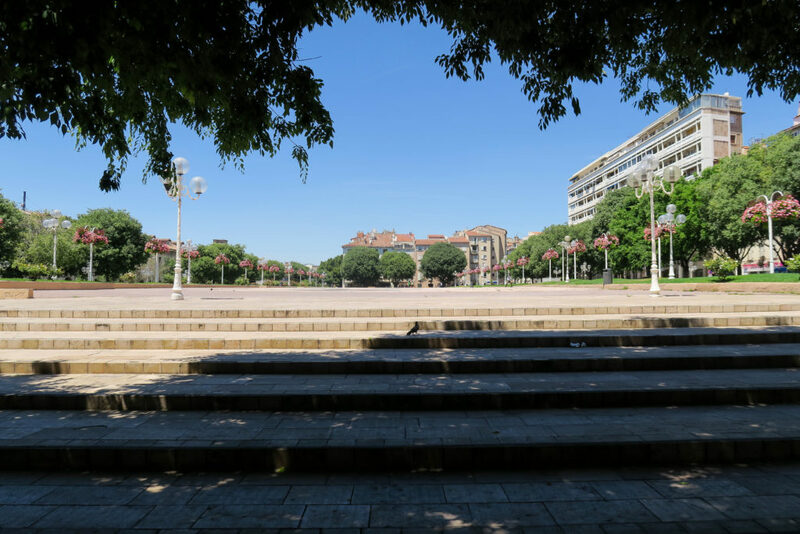 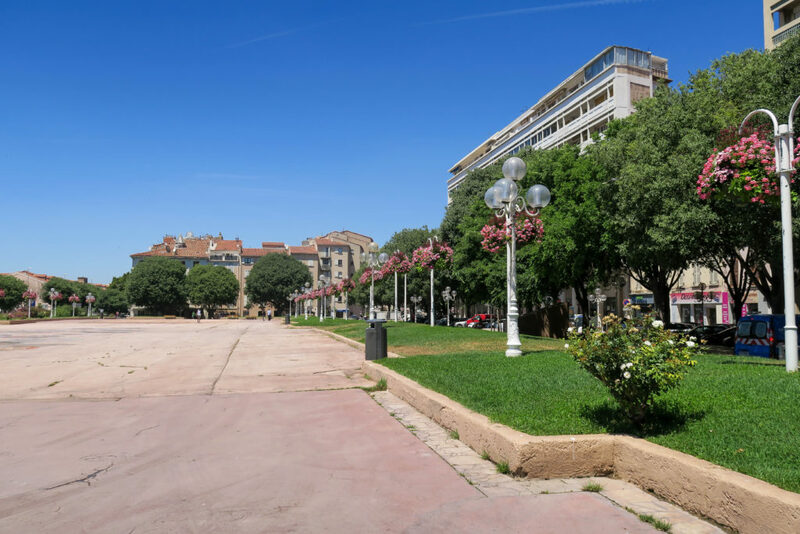 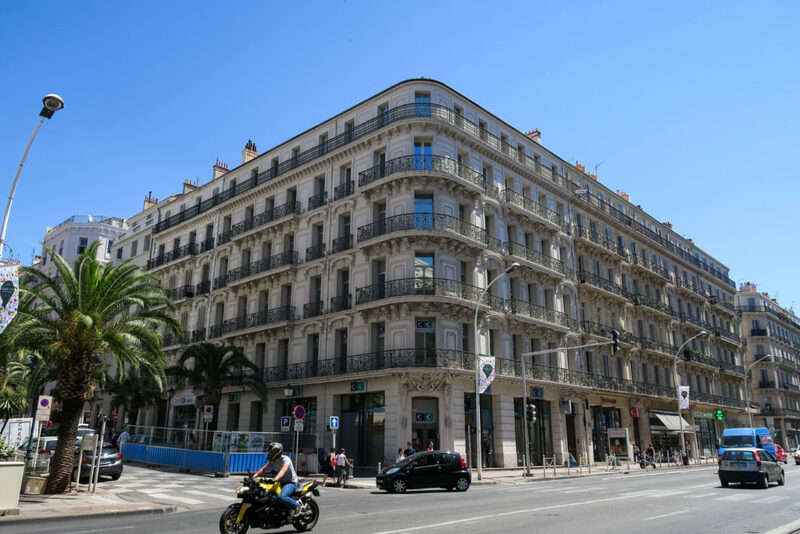 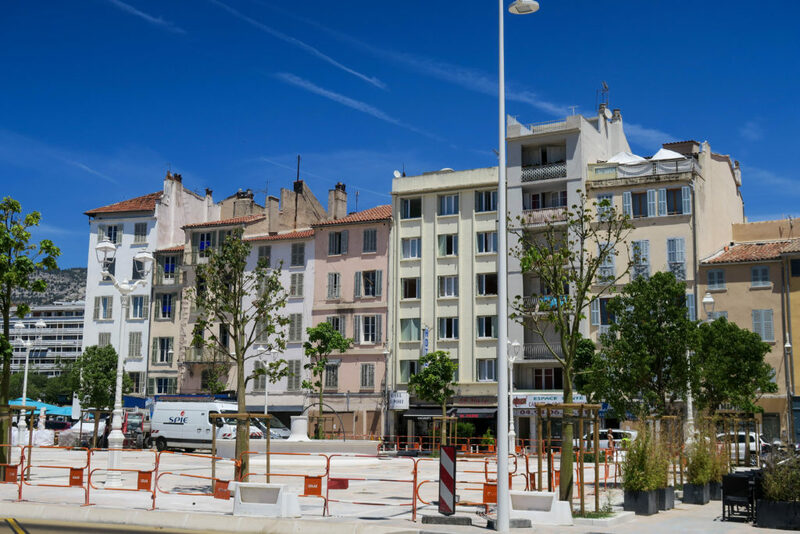 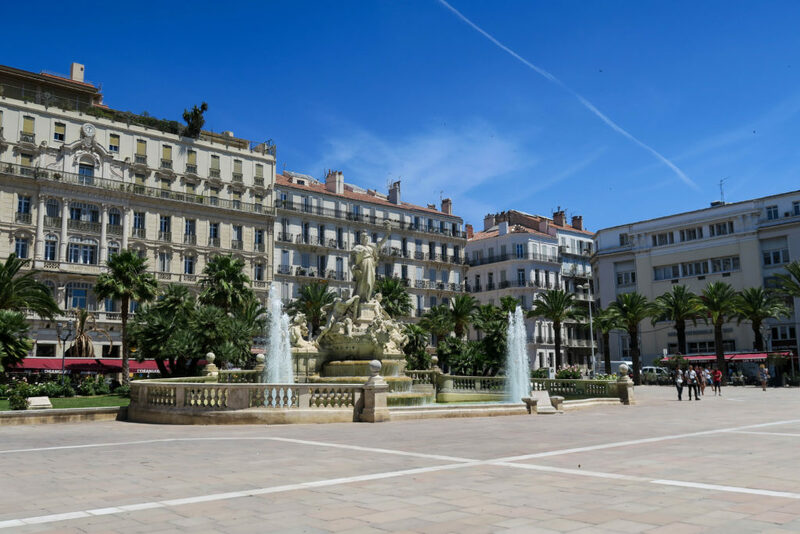 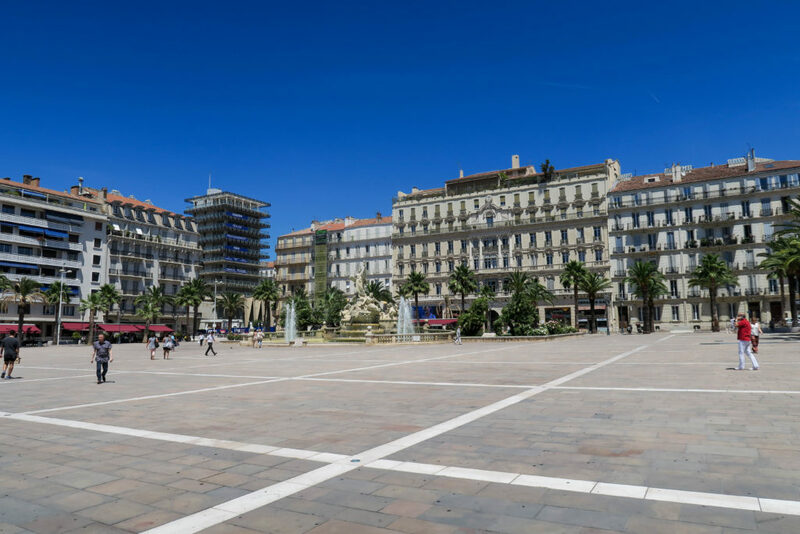 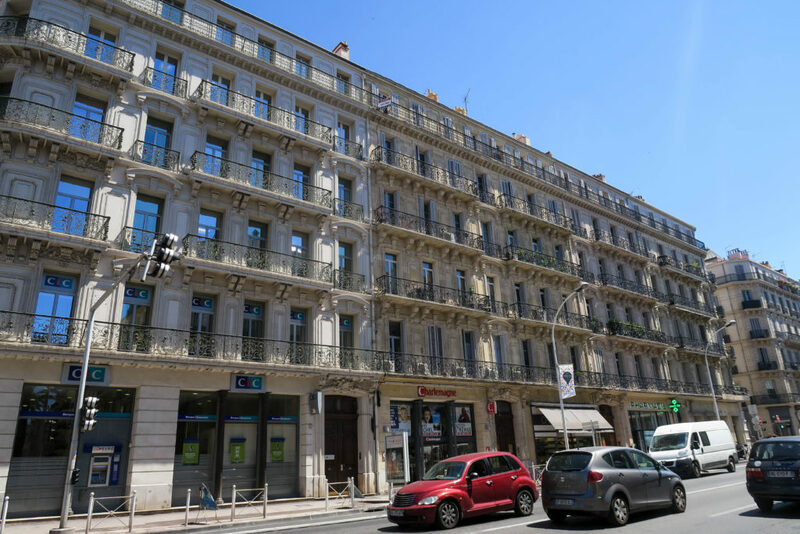 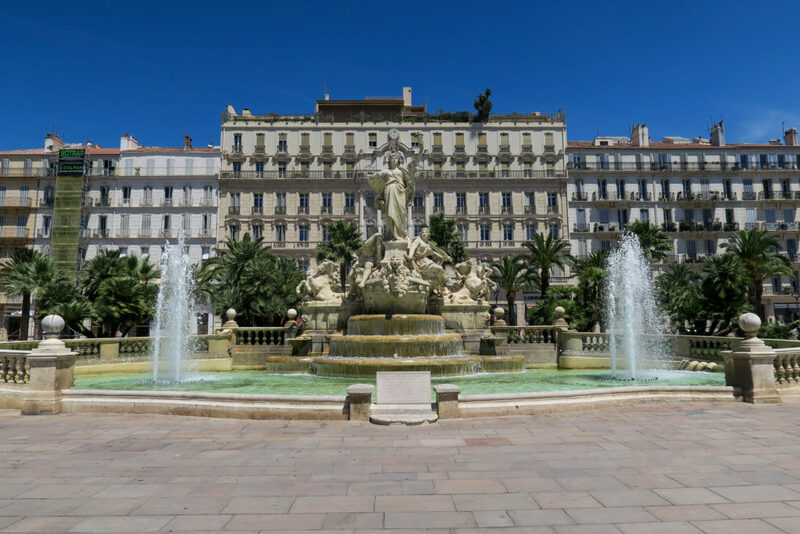 It's a huge square on Boulevard de Strasbourg, which is the main road in Toulon. 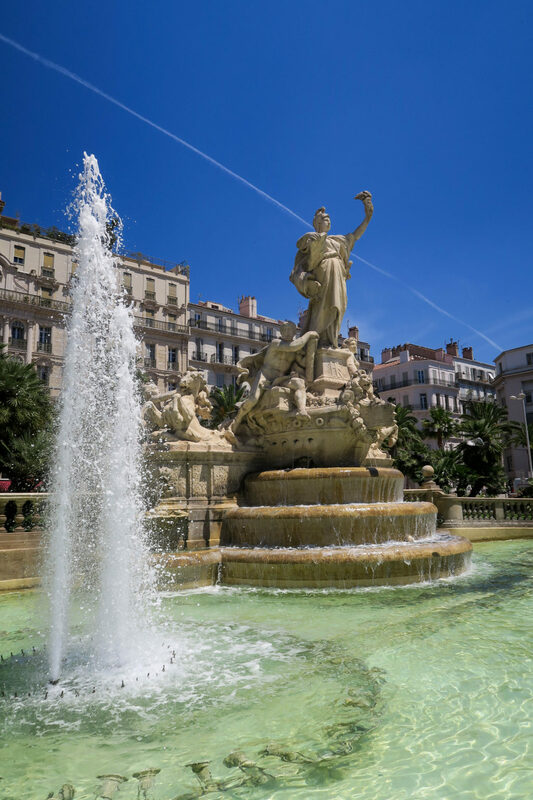 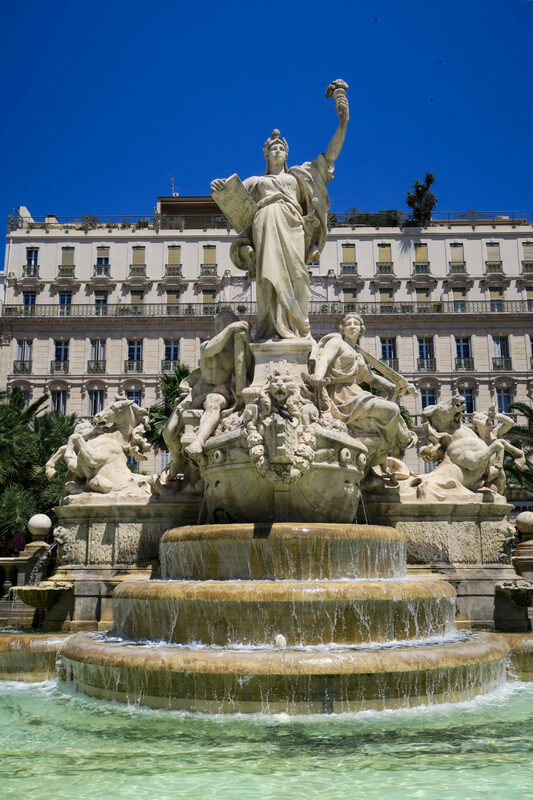 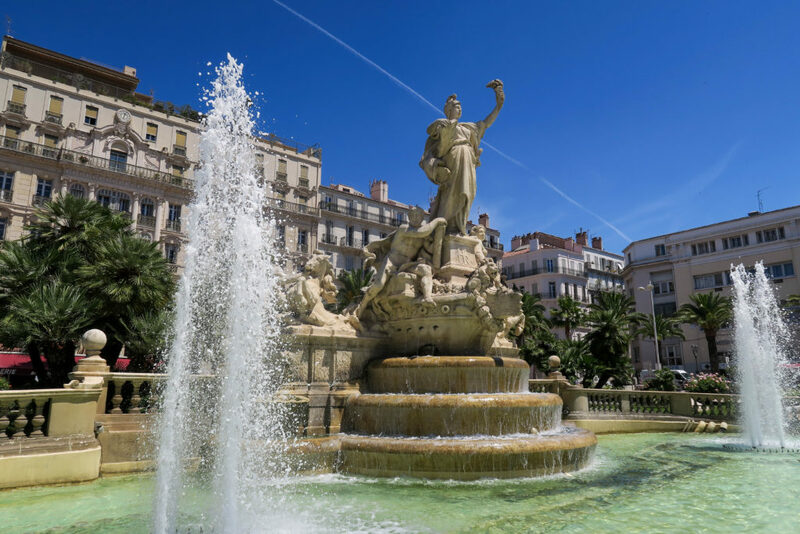 It features a huge water fountain/statue which represents France, Justice and Force. 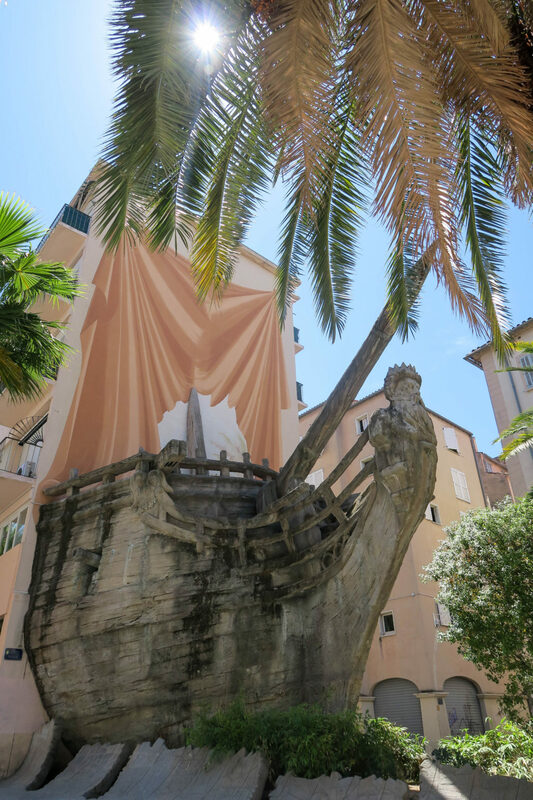 It is also meant to symbolise the transportation of the Statue of Liberty to America from France. 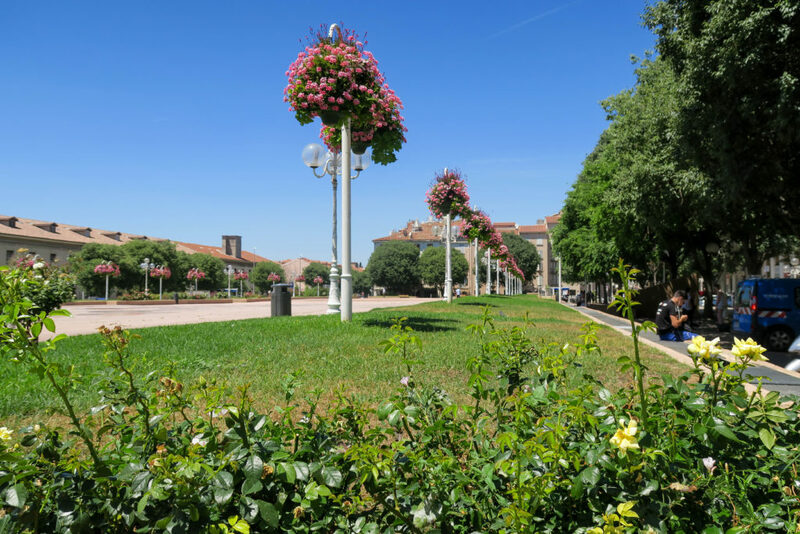 It's very beautiful and makes a big impact. 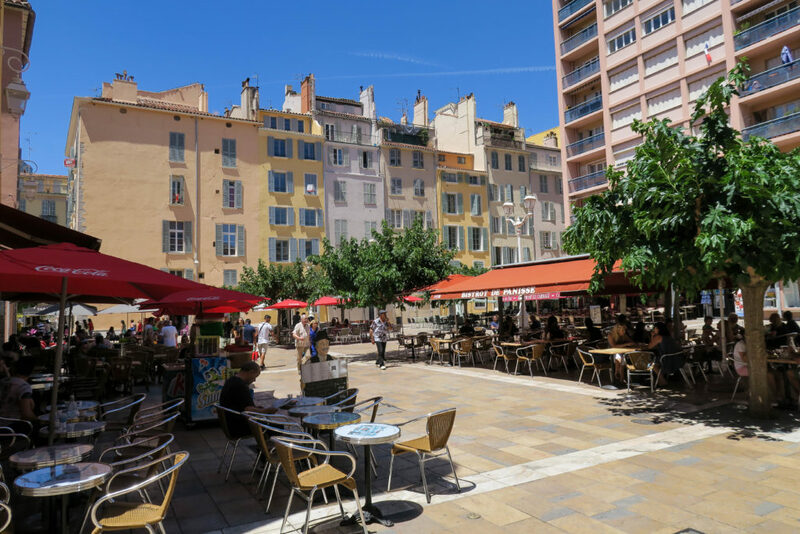 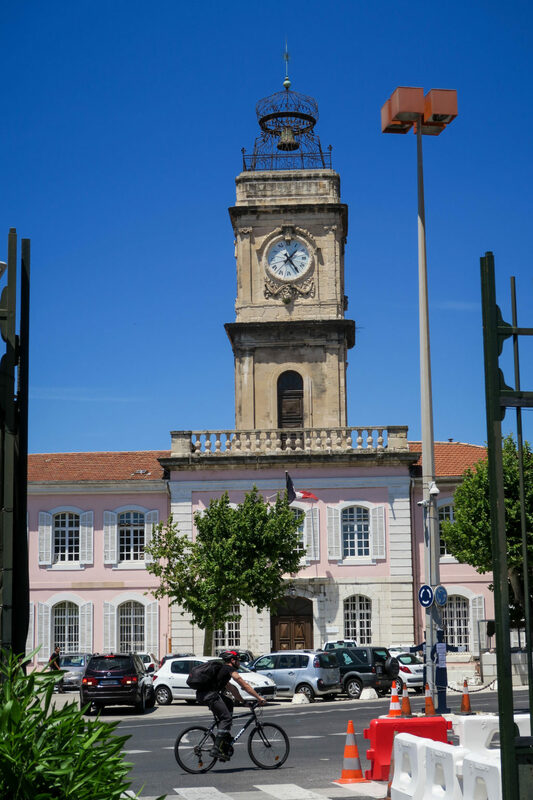 This square has several restaurants dotted around and is a great place for people watching! 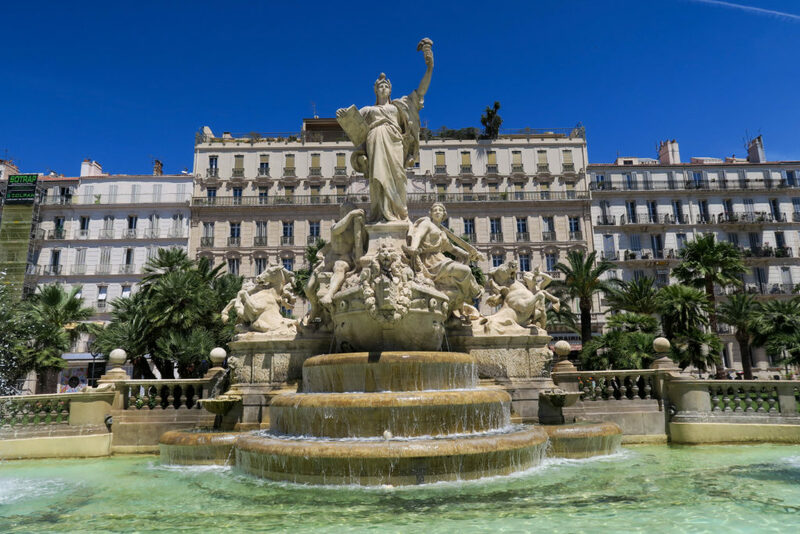 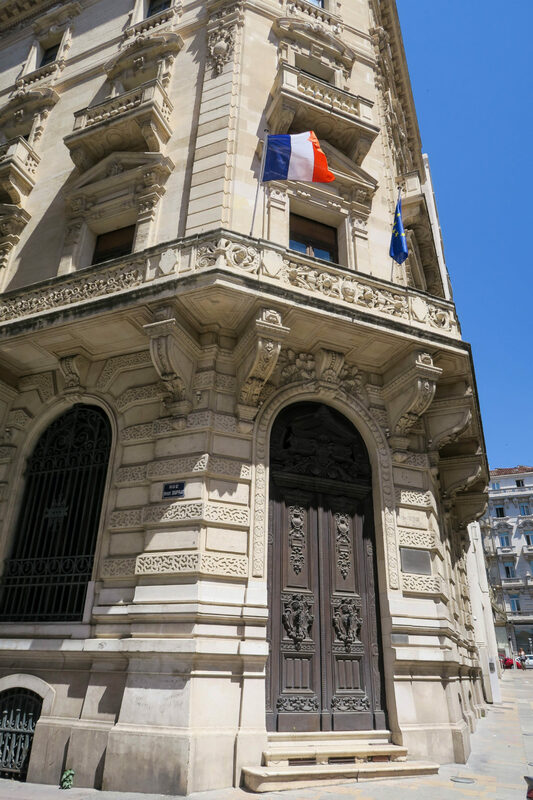 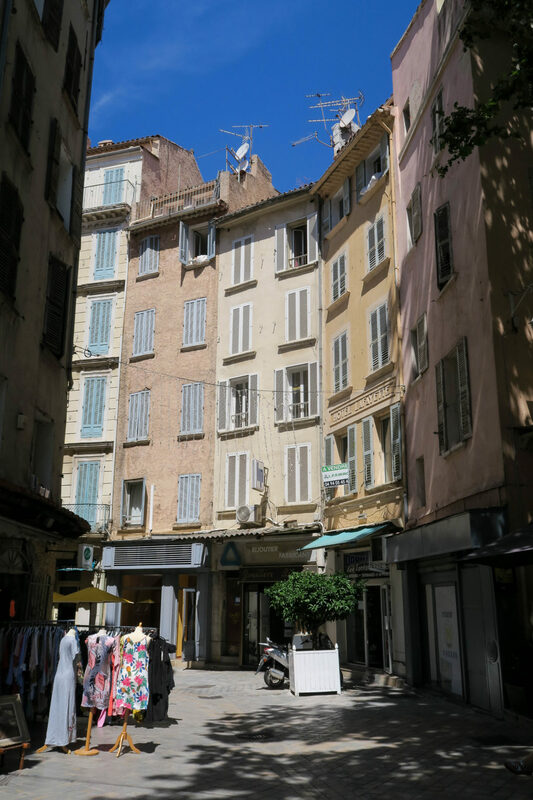 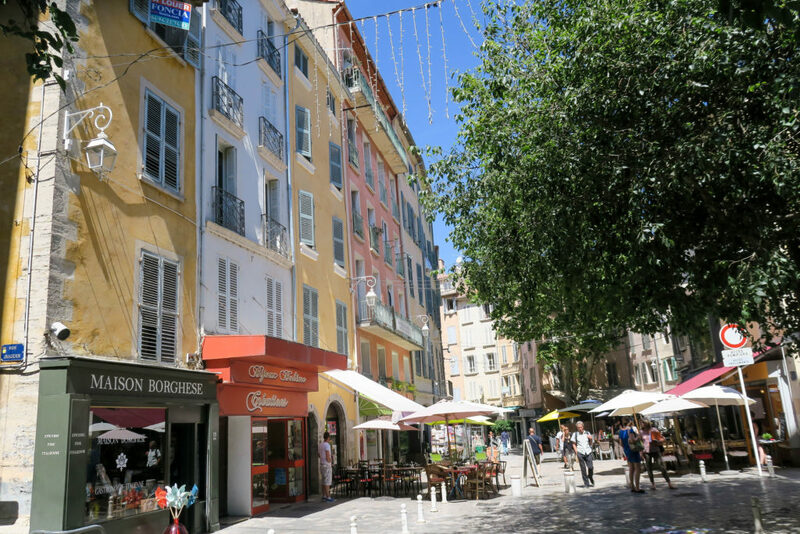 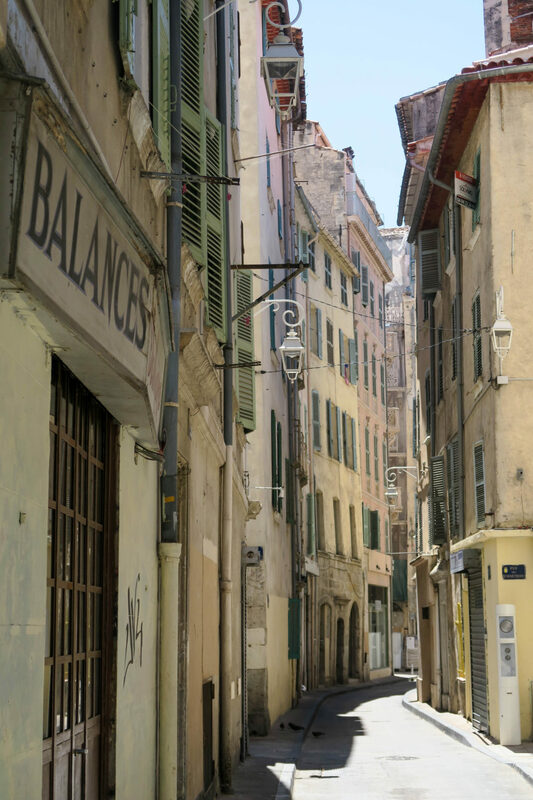 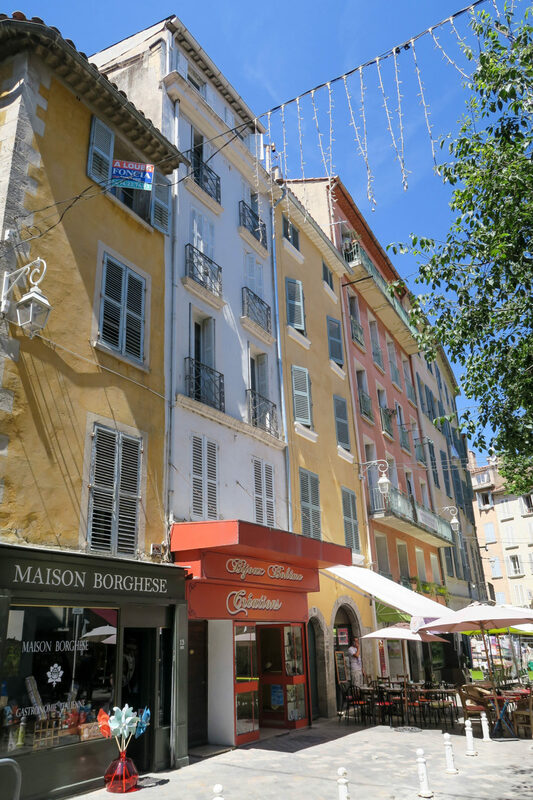 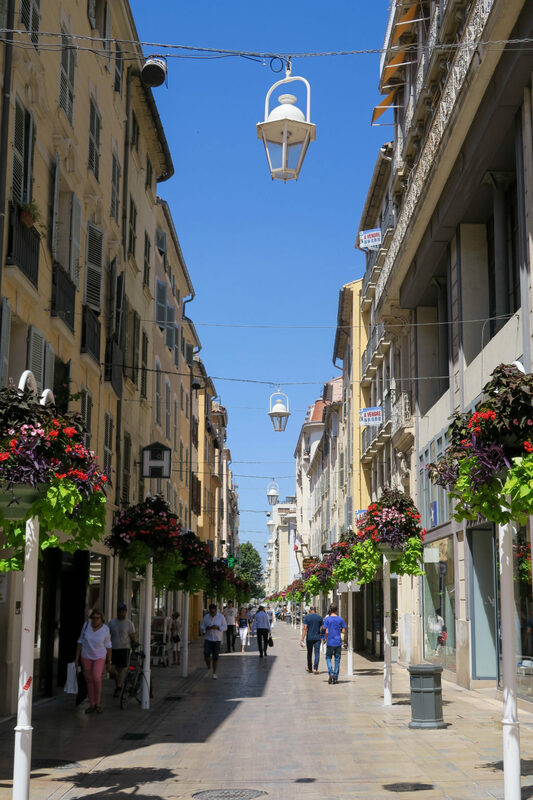 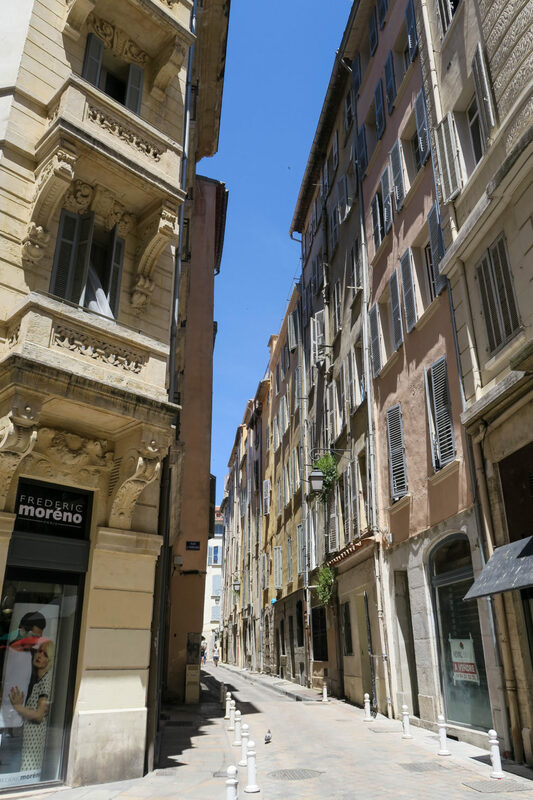 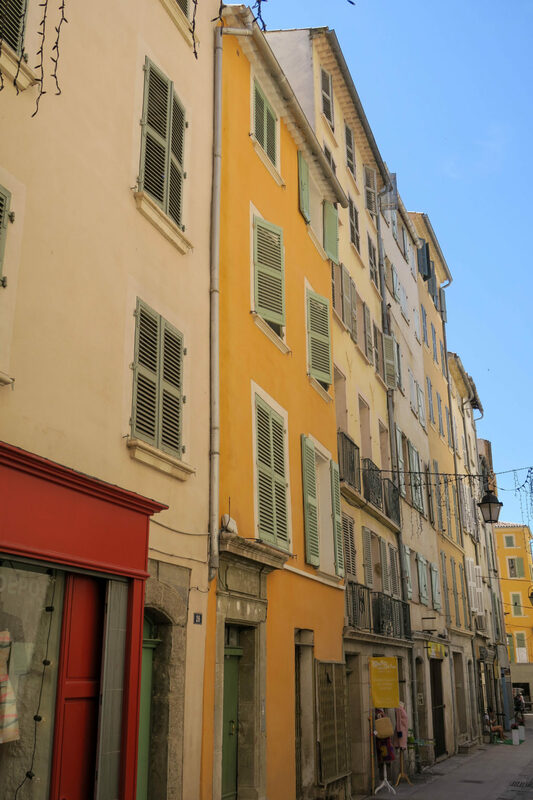 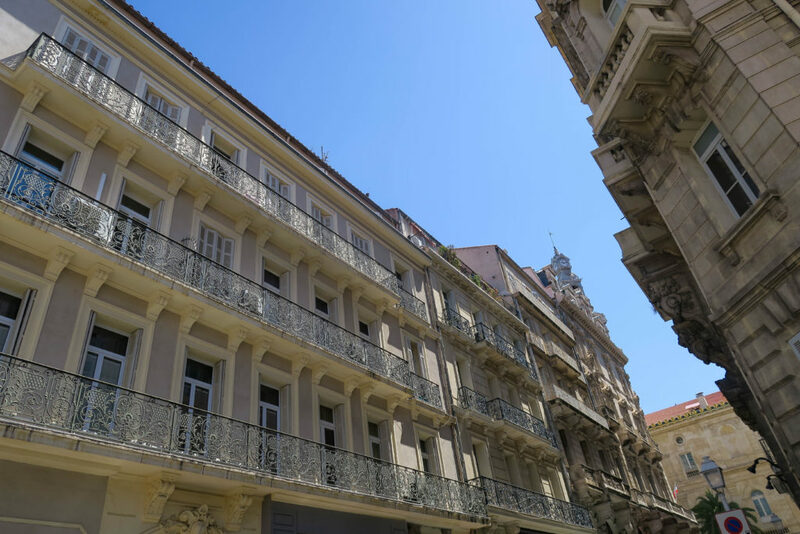 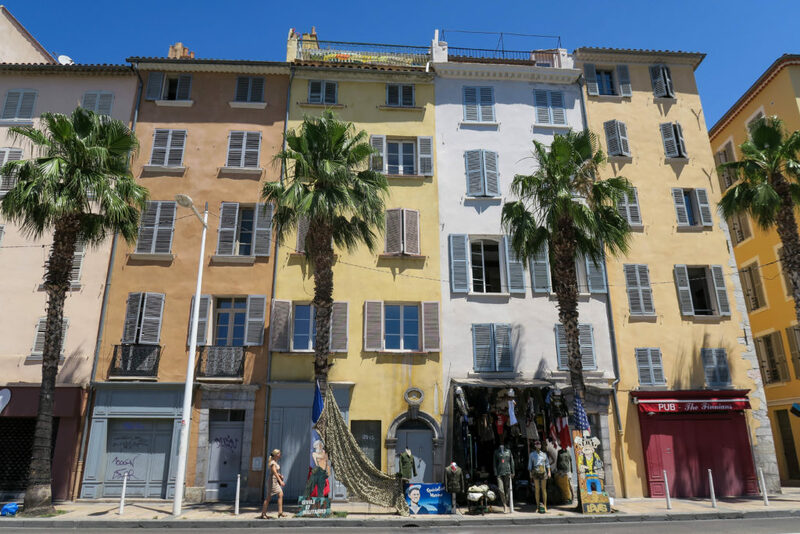 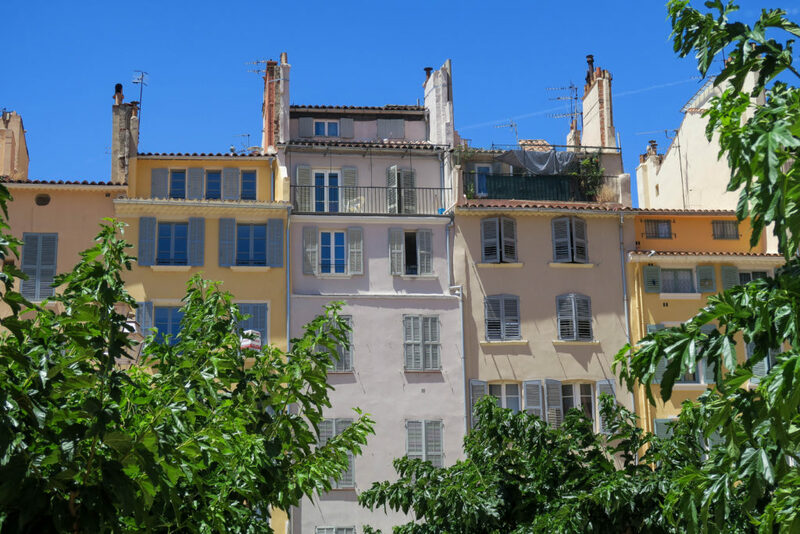 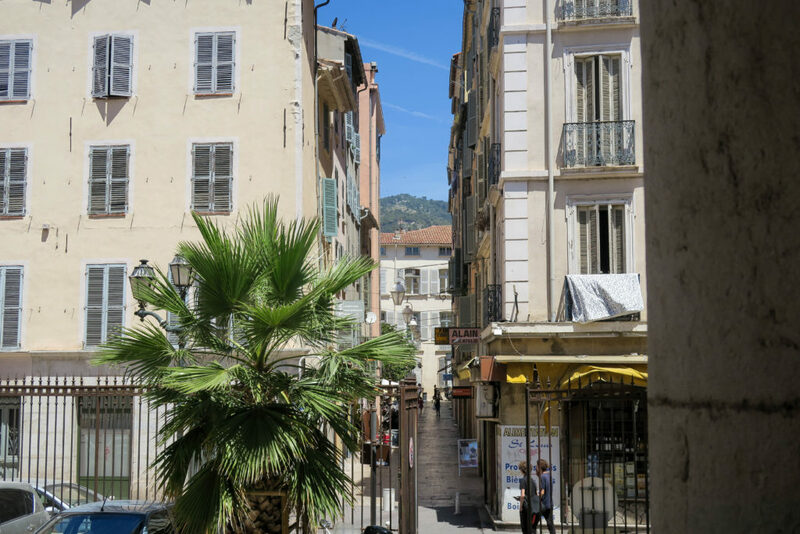 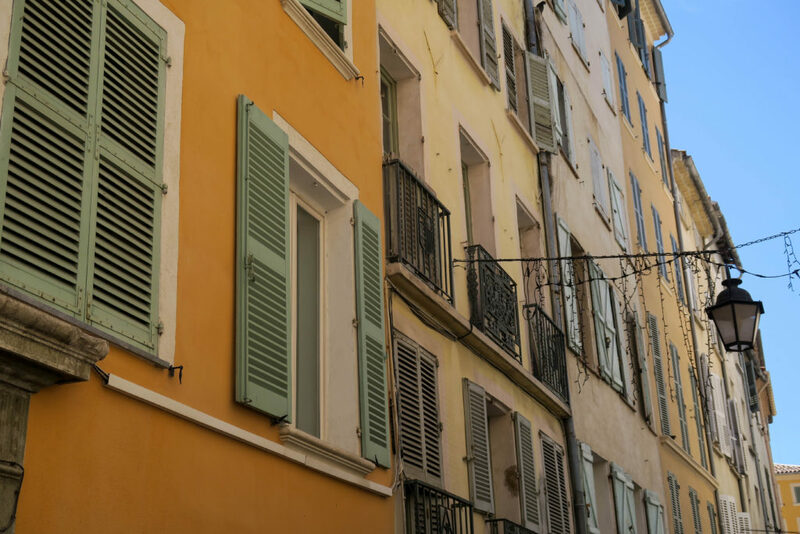 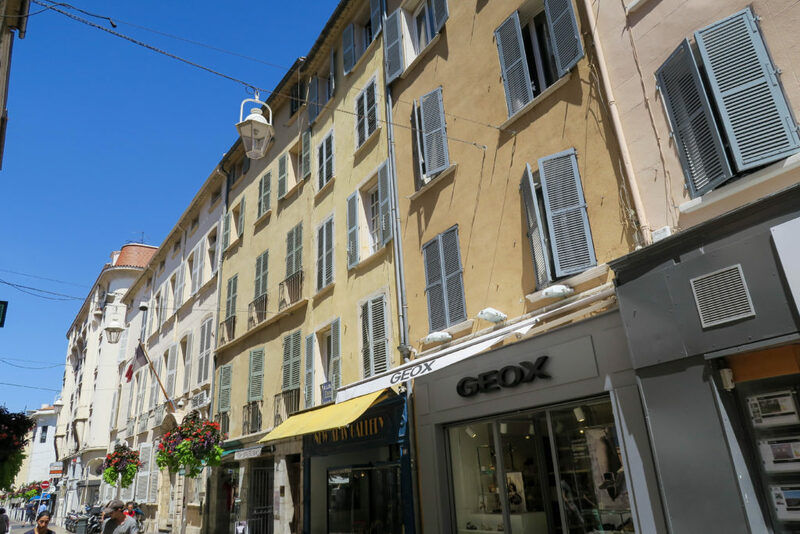 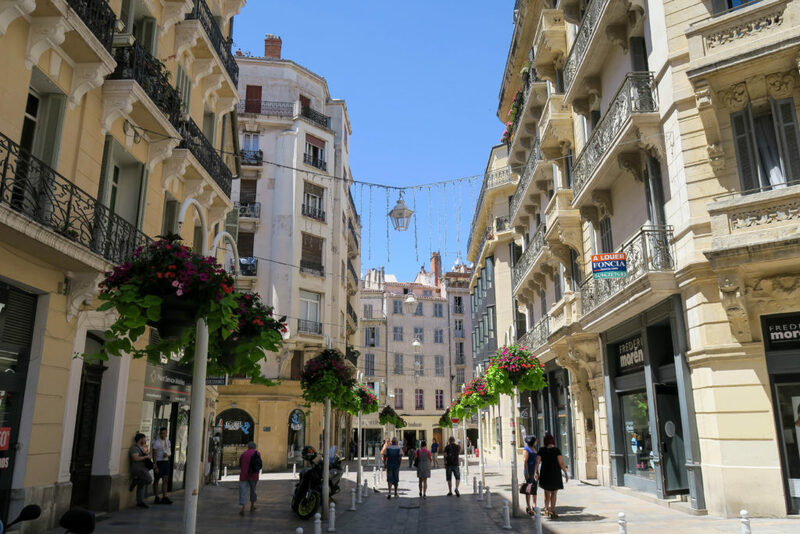 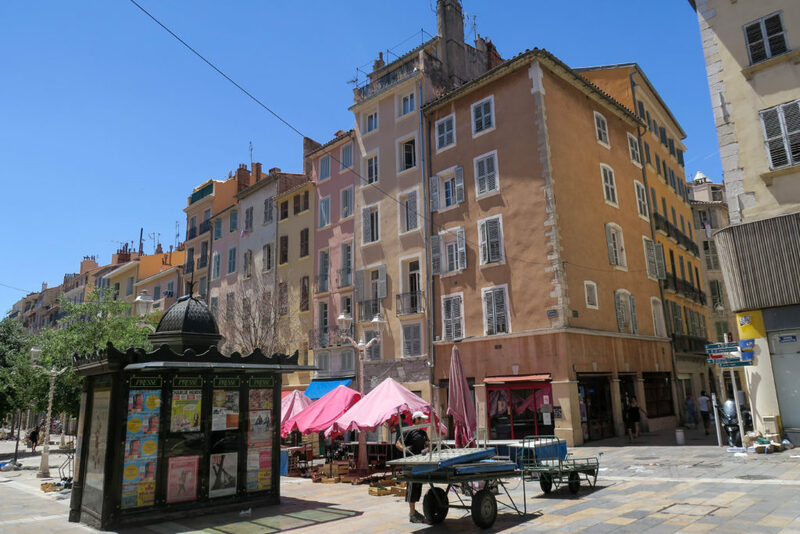 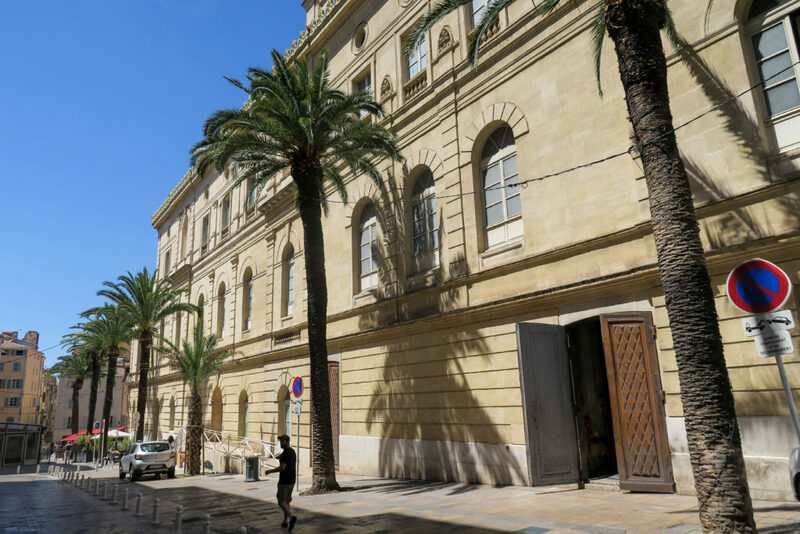 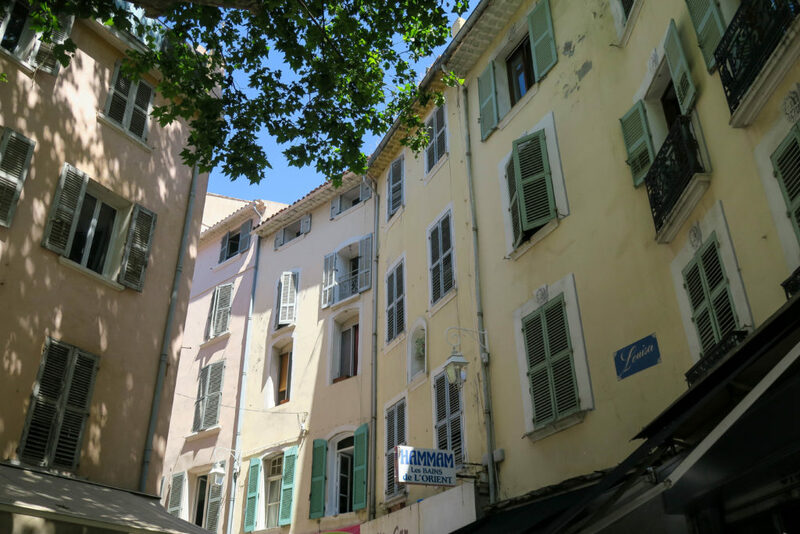 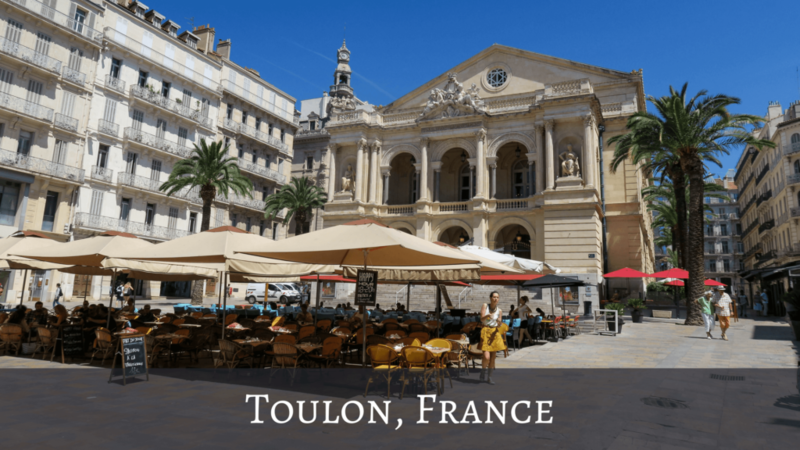 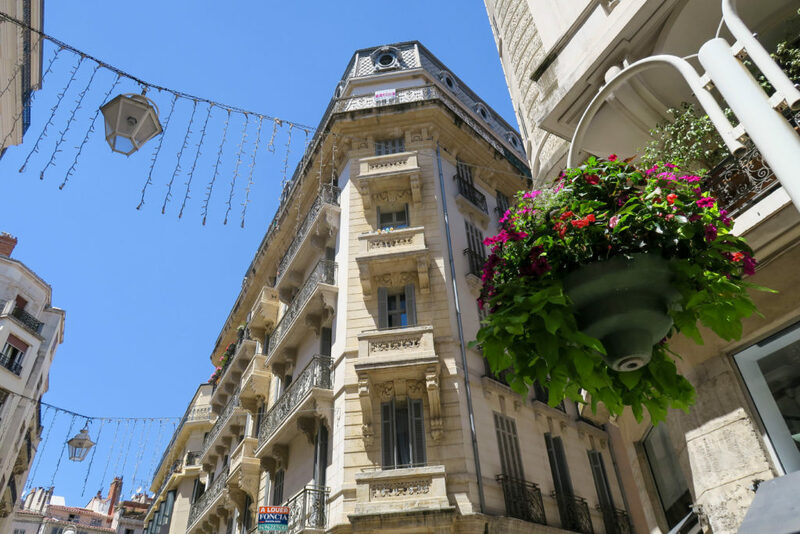 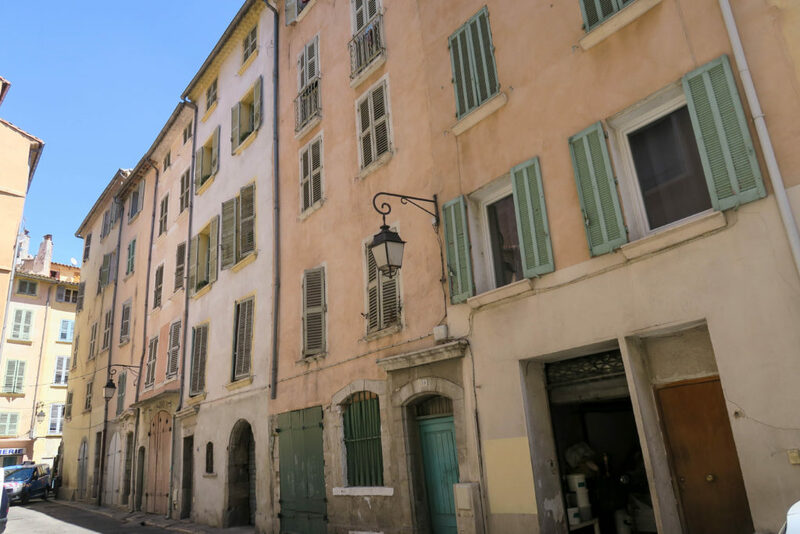 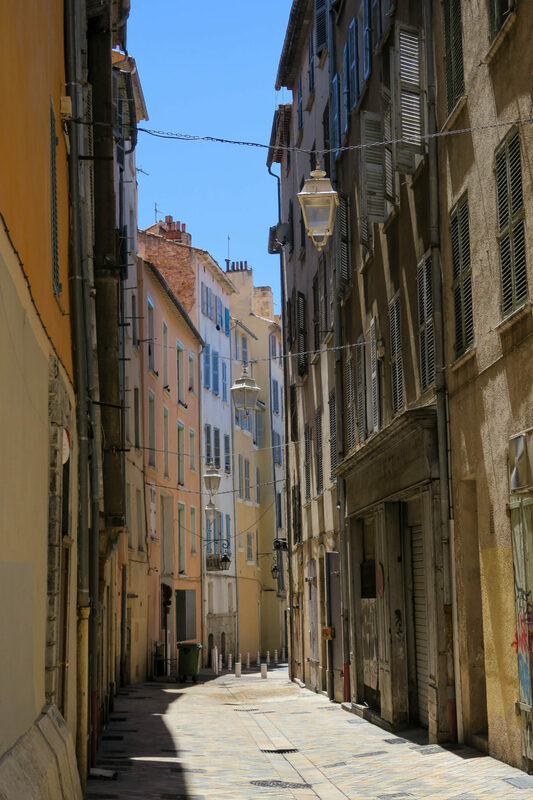 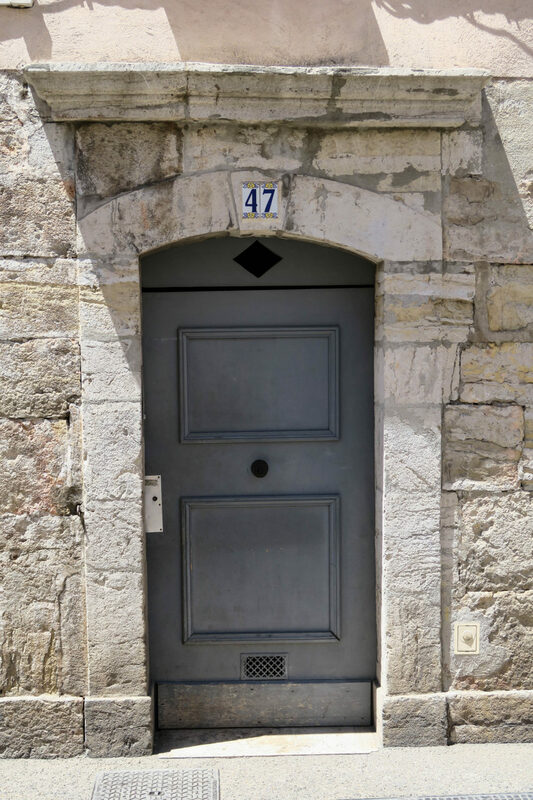 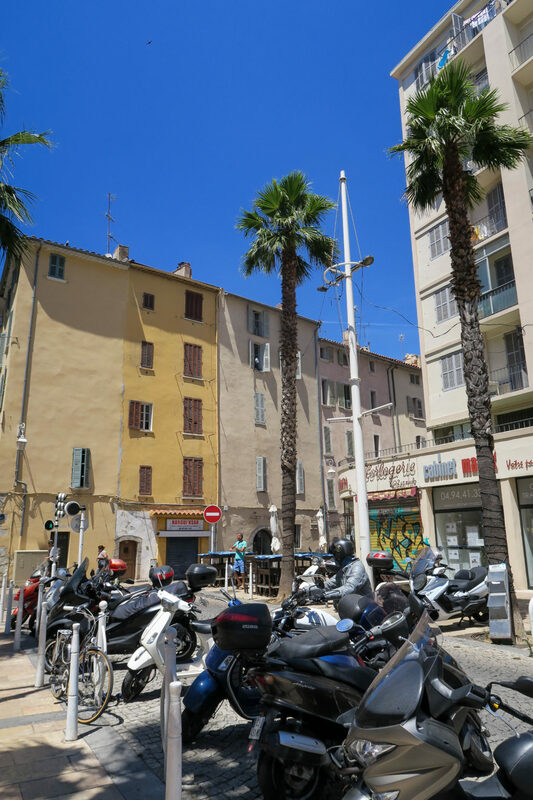 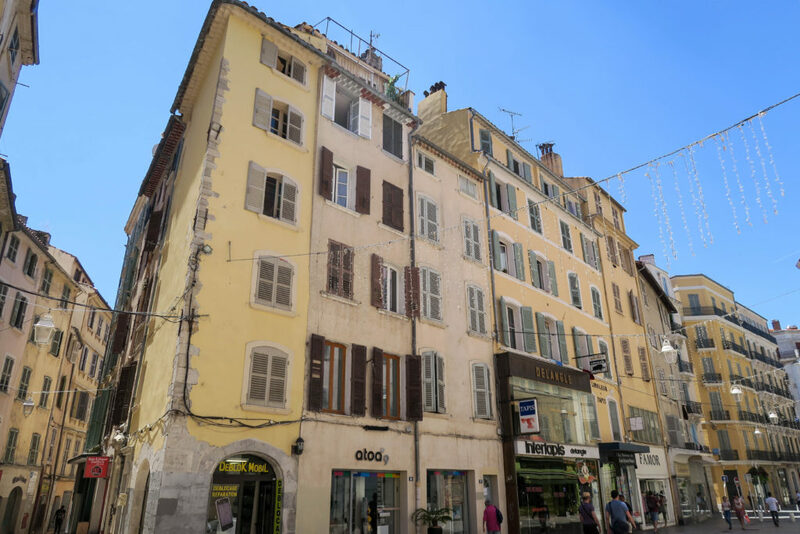 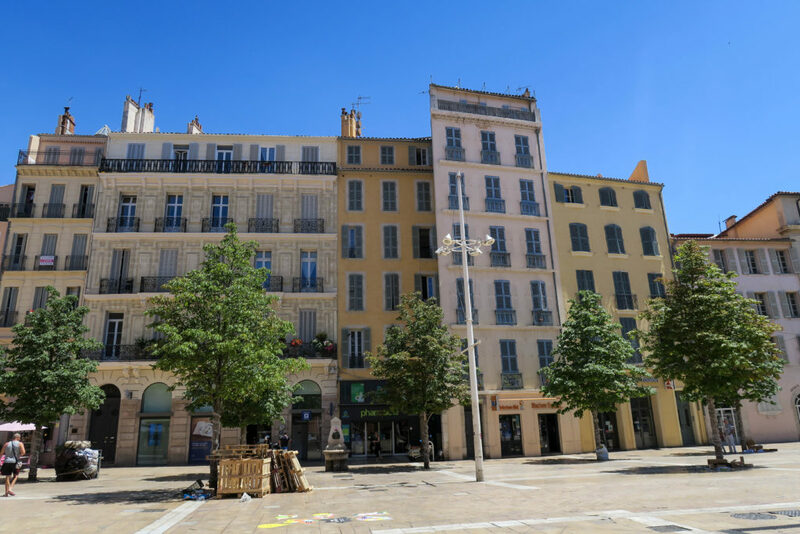 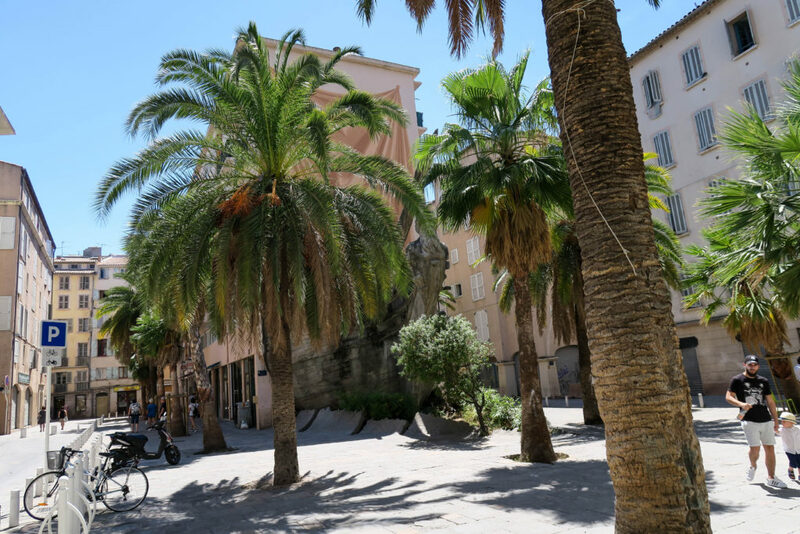 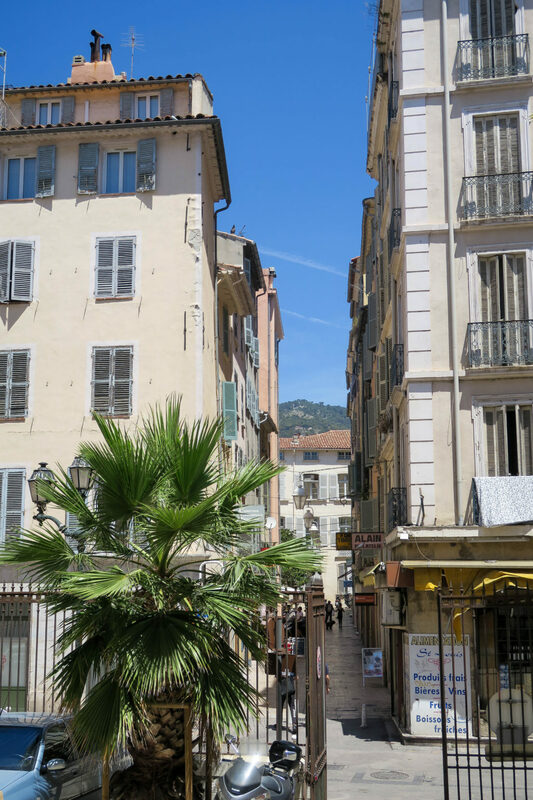 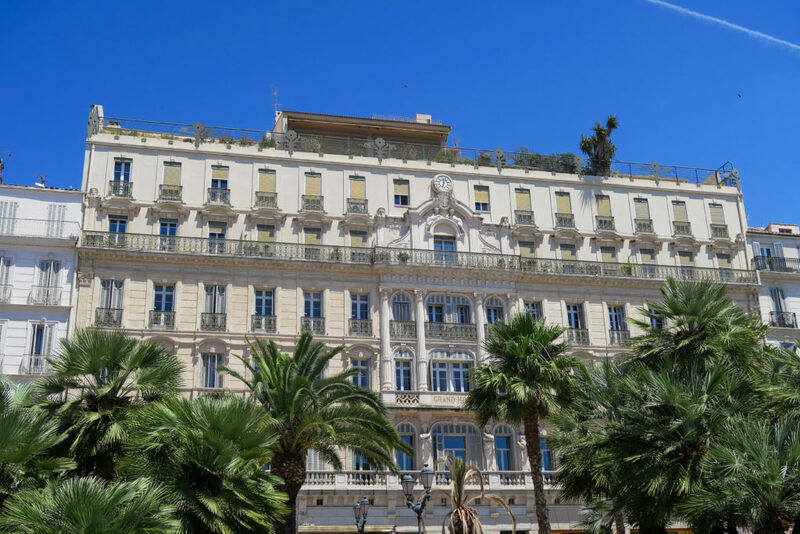 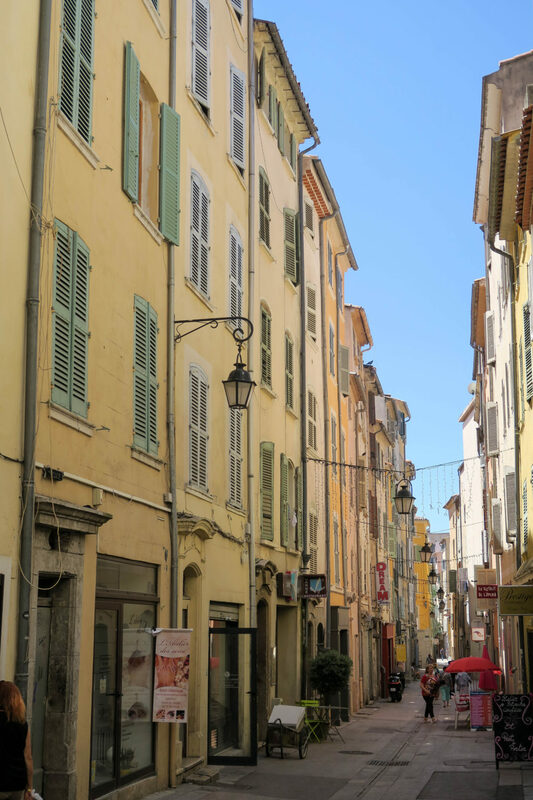 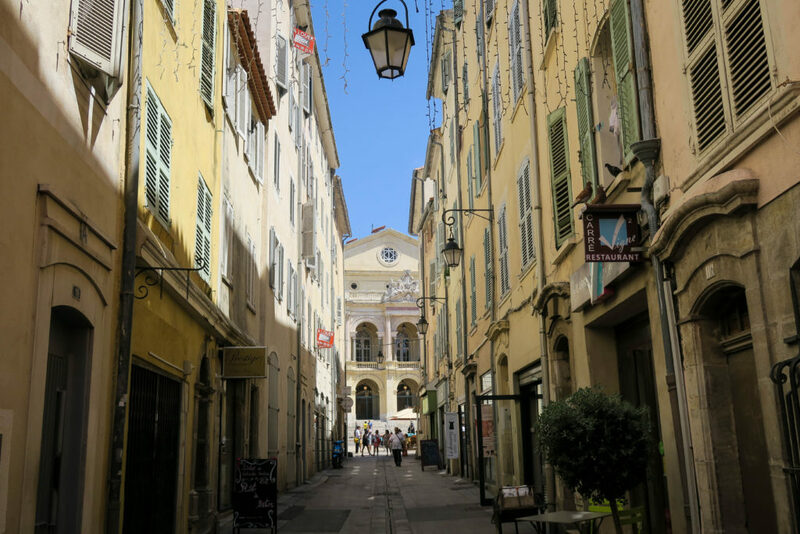 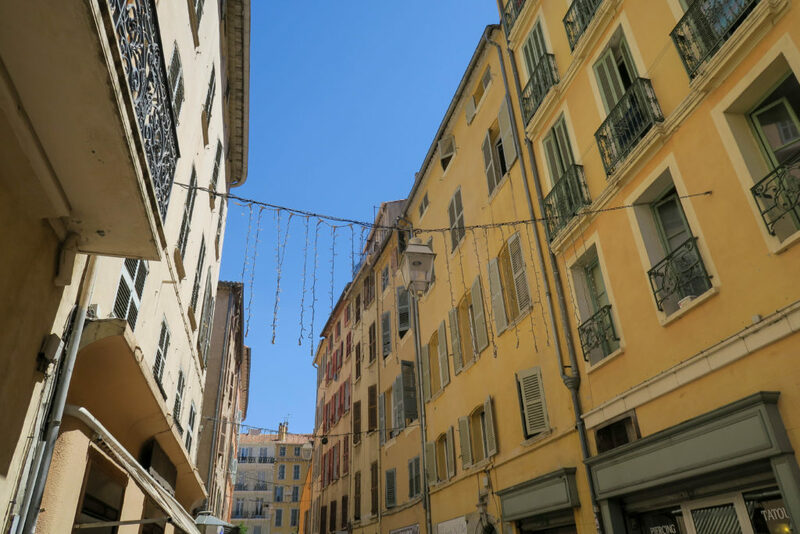 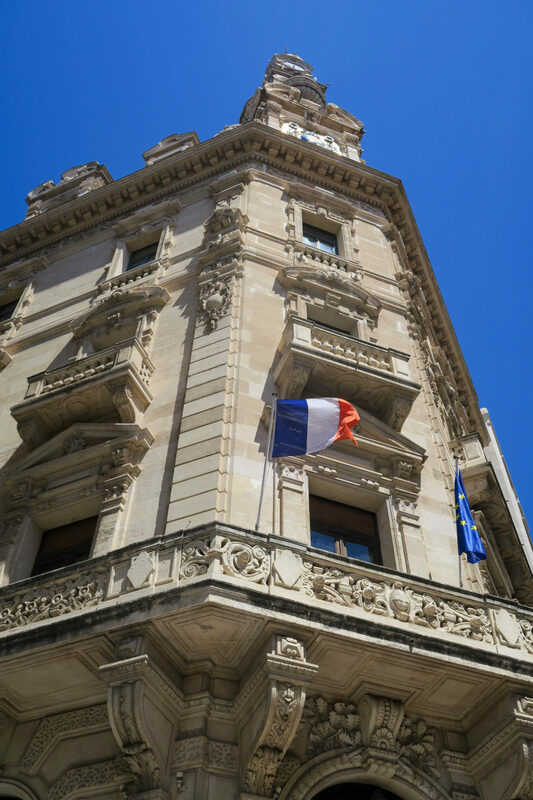 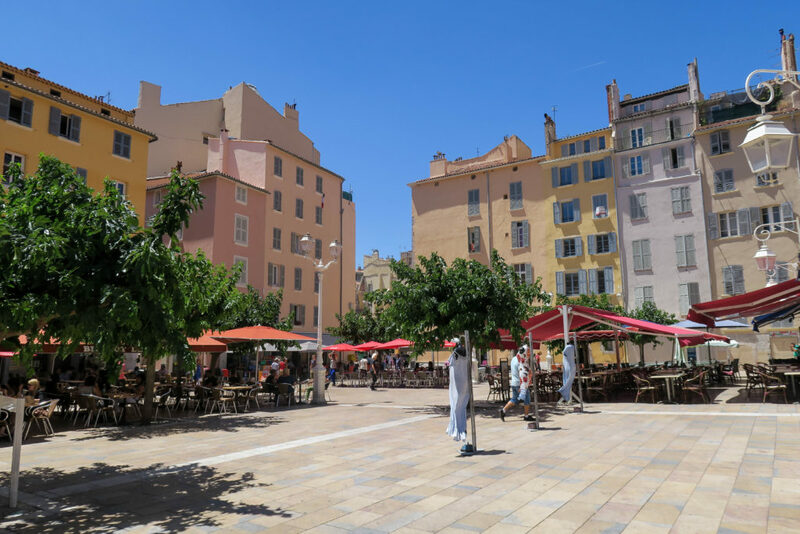 Toulon town is a great place to visit for half a day, walking the streets and taking in all the majestic buildings and colours. 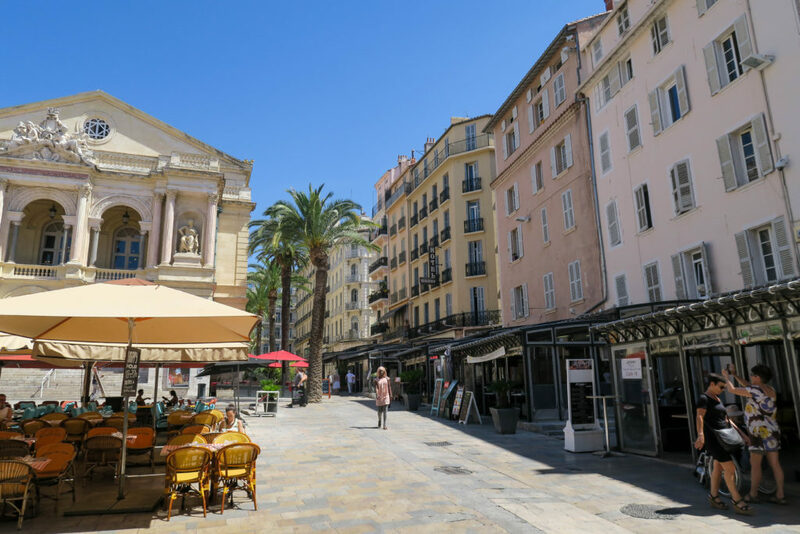 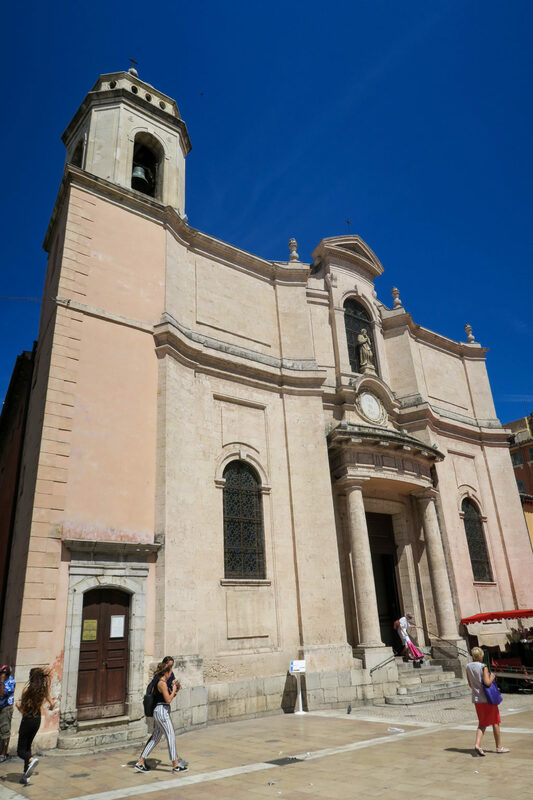 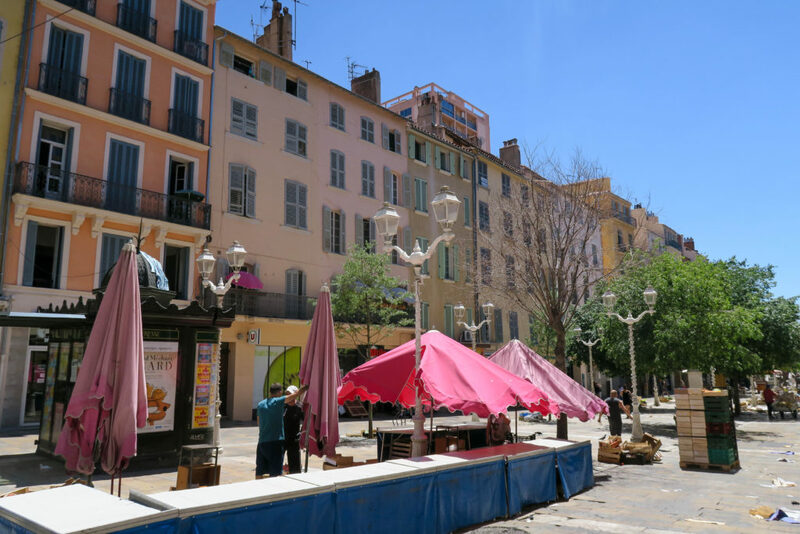 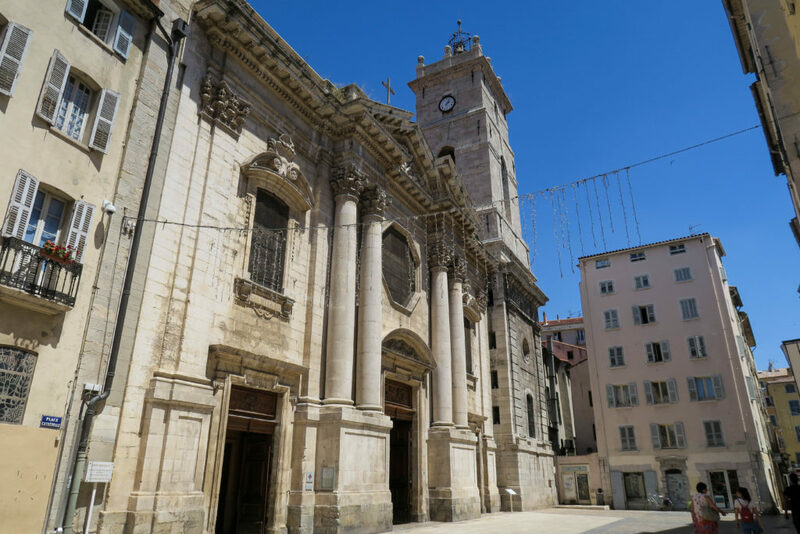 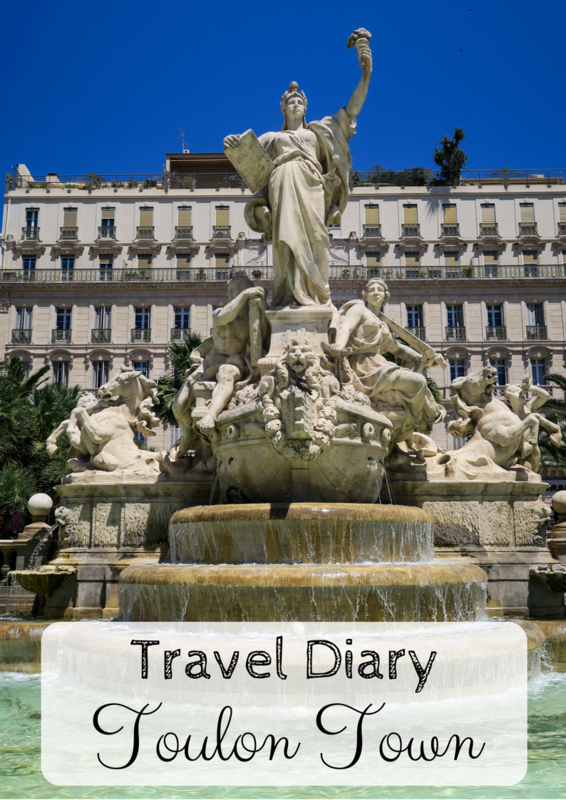 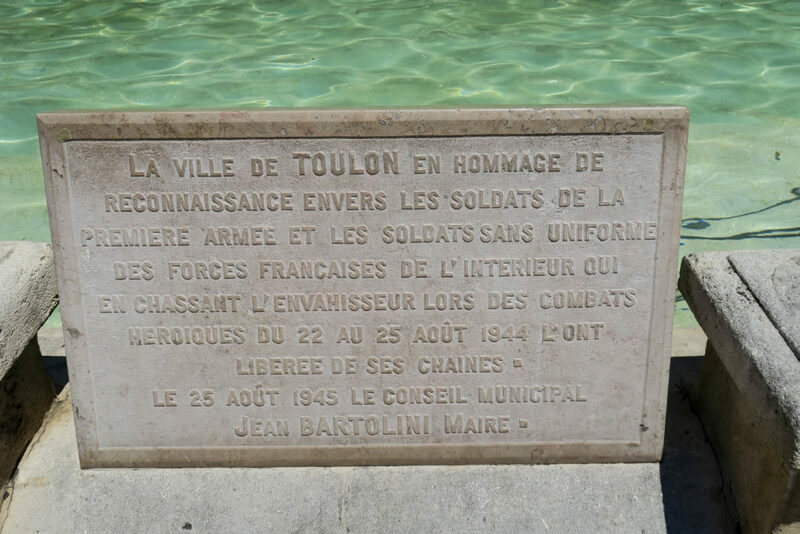 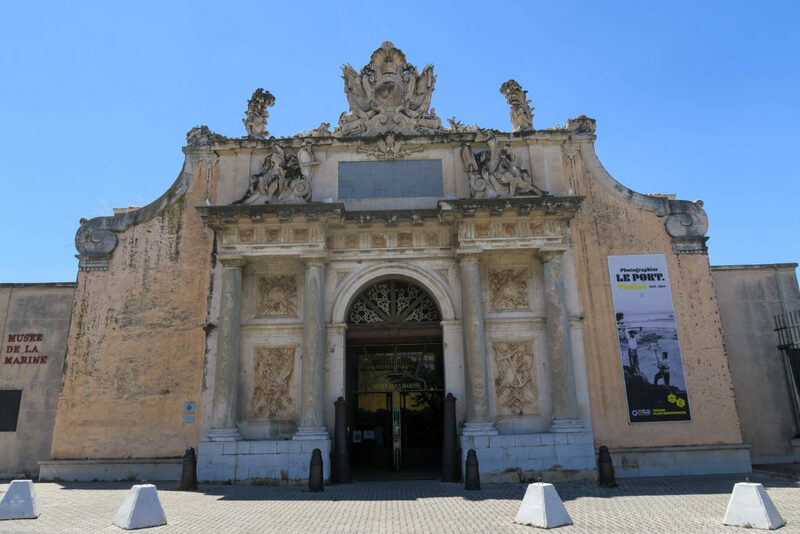 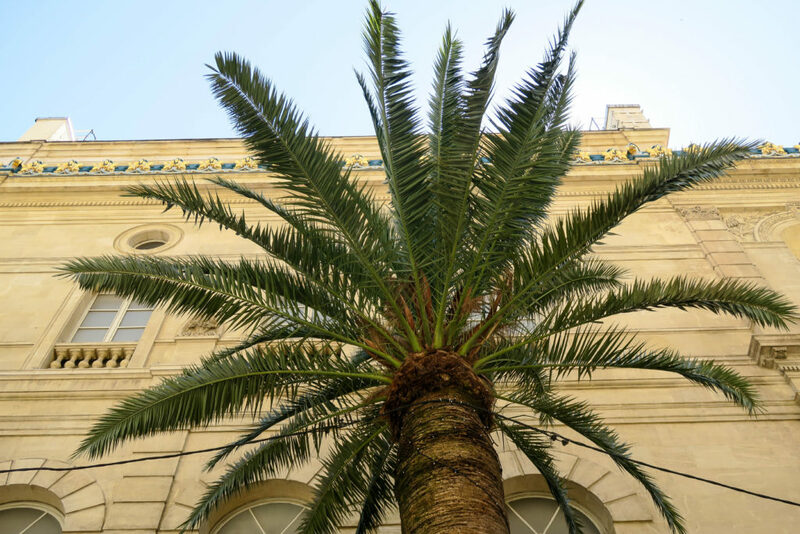 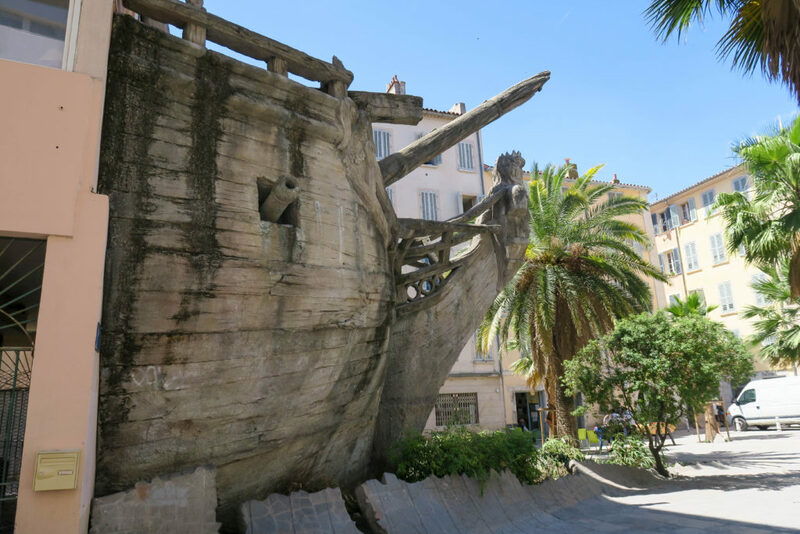 Toulon certainly has a lot to offer and I would recommend it to tourists visiting the area.